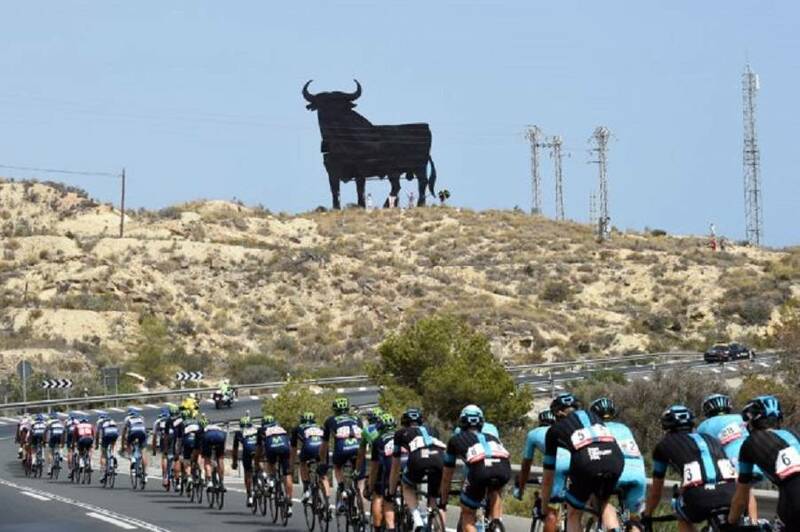 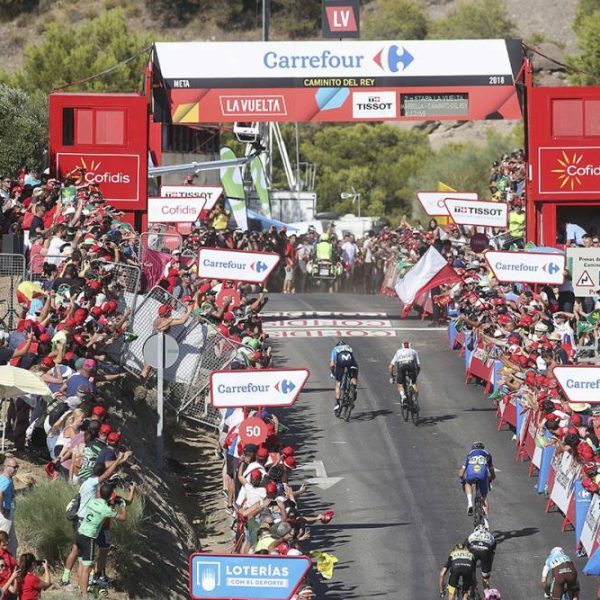 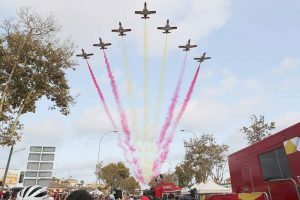 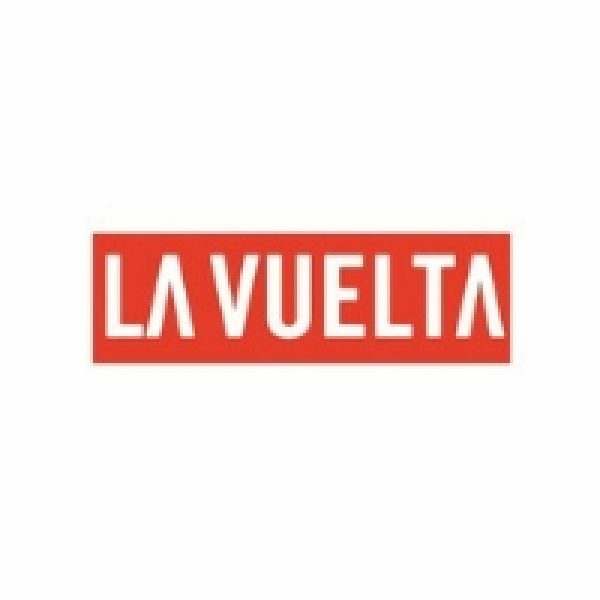 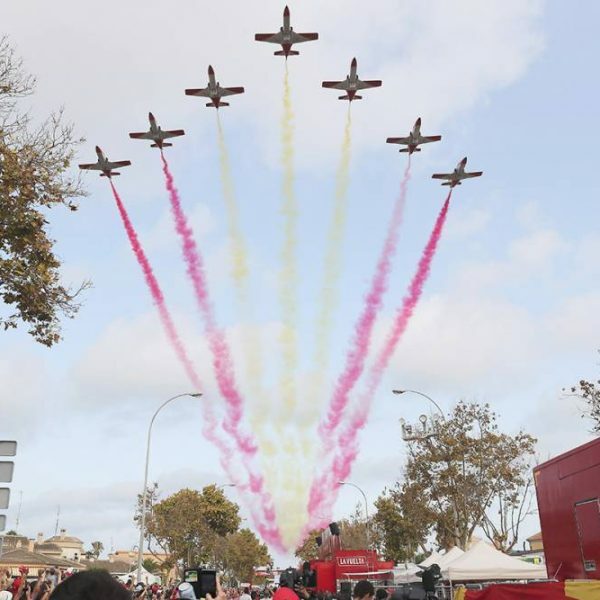 The 2019 Vuelta a Espana takes place from Saturday 24 August until Sunday 14 September. 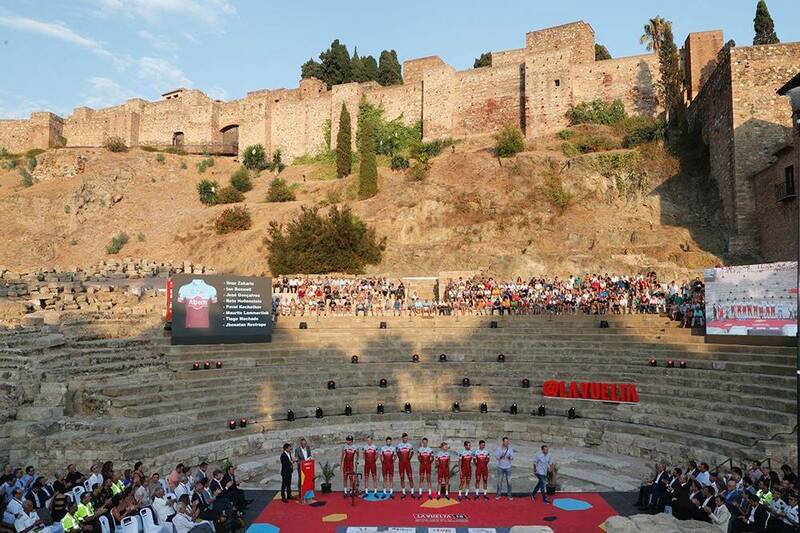 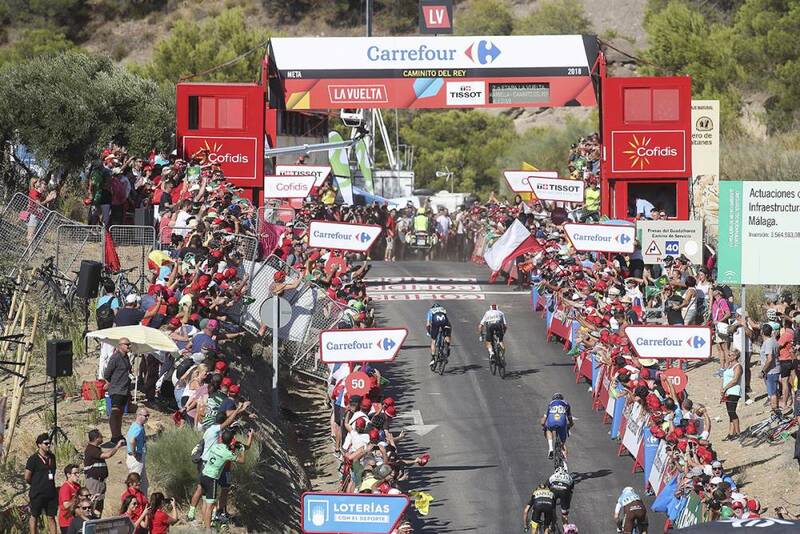 The 74th edition of the Vuelta will start in Alicante and finish in Madrid. 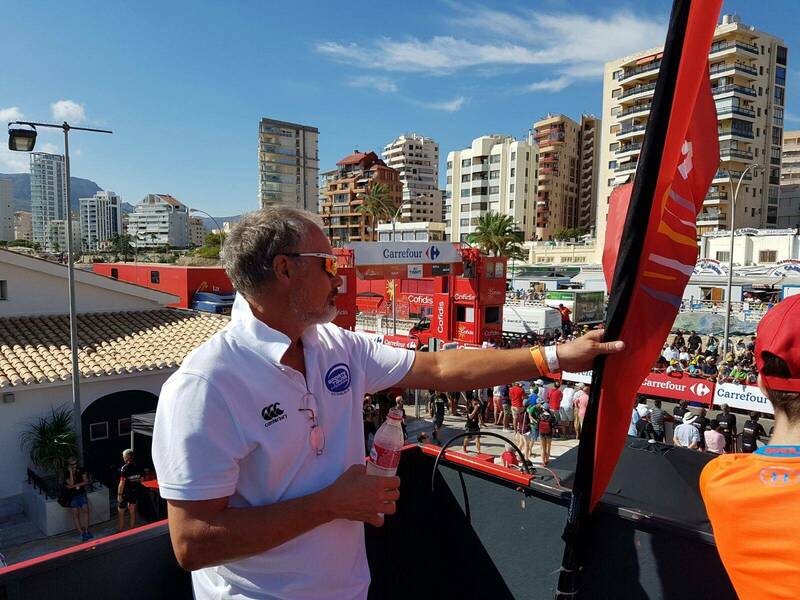 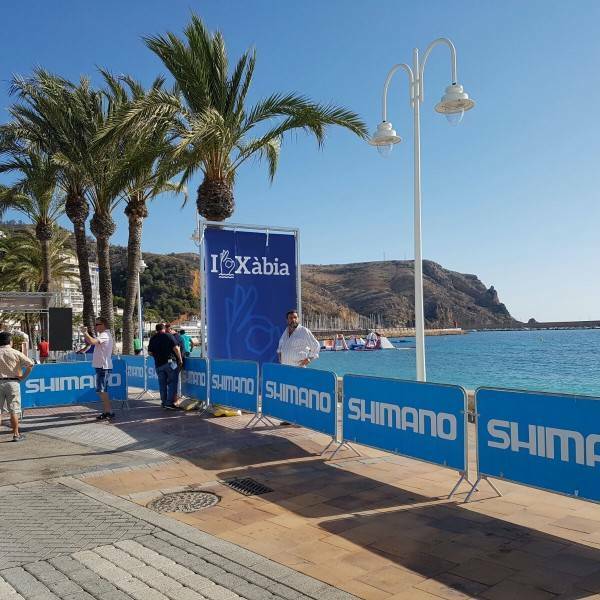 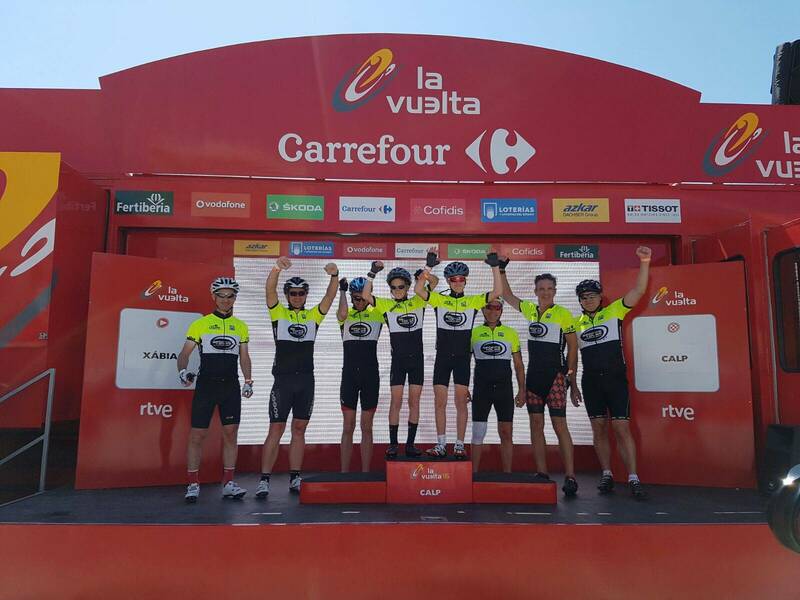 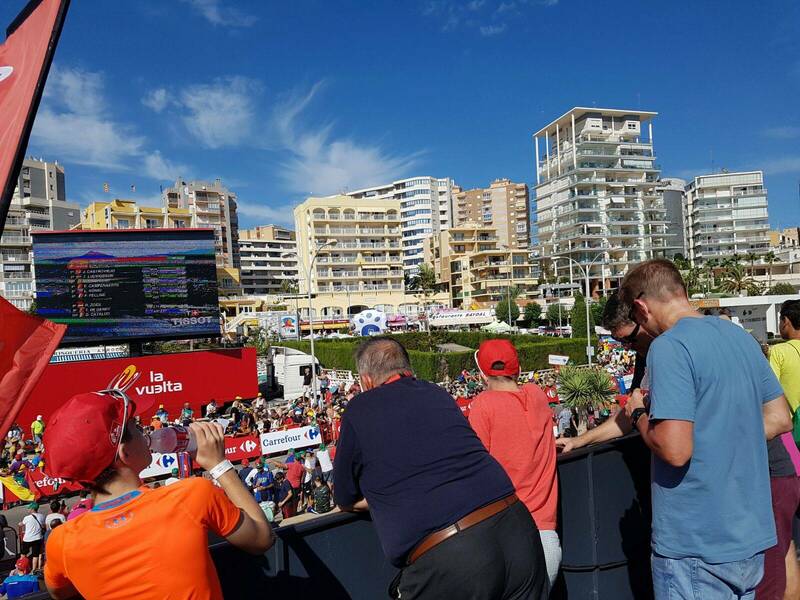 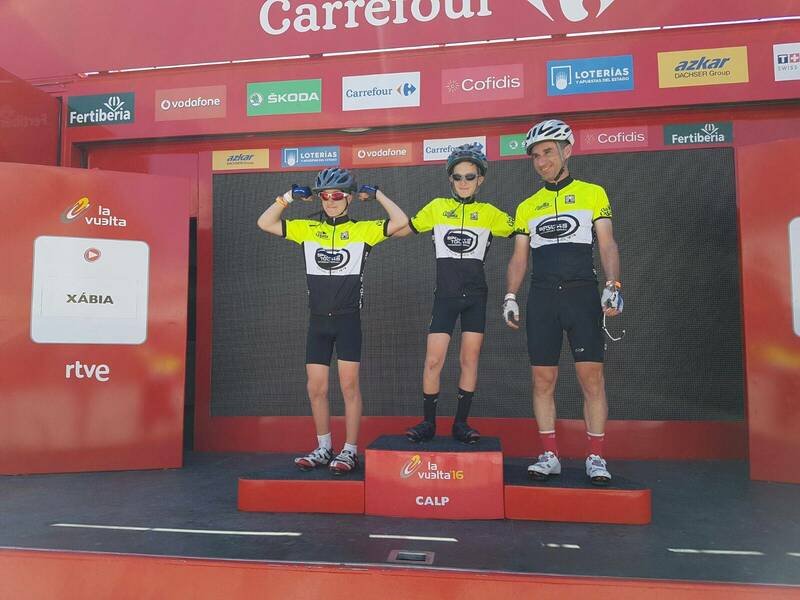 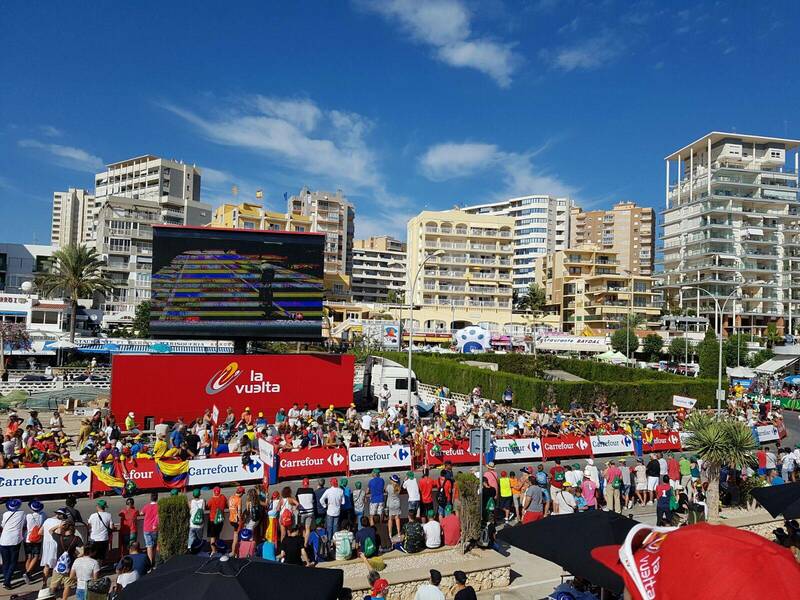 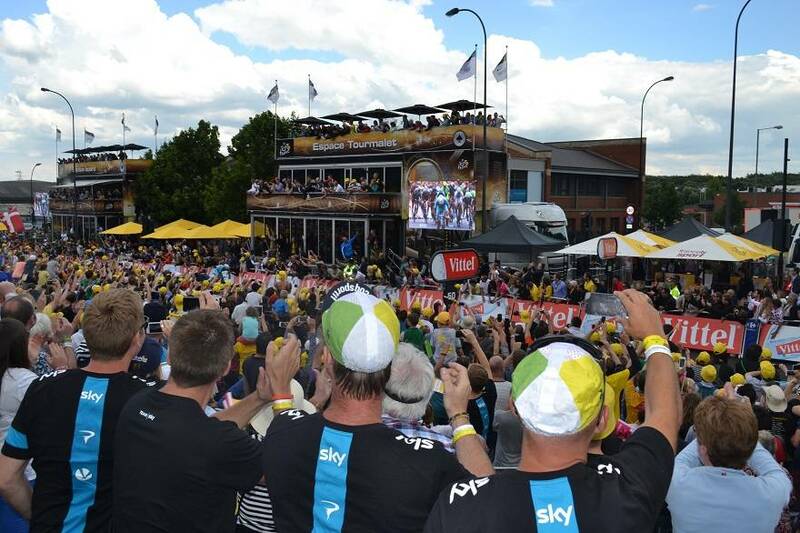 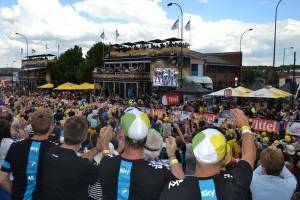 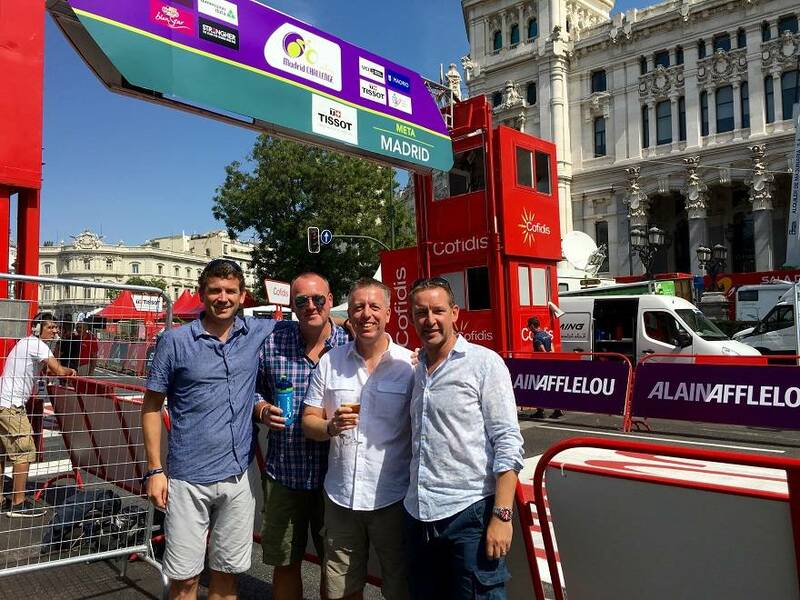 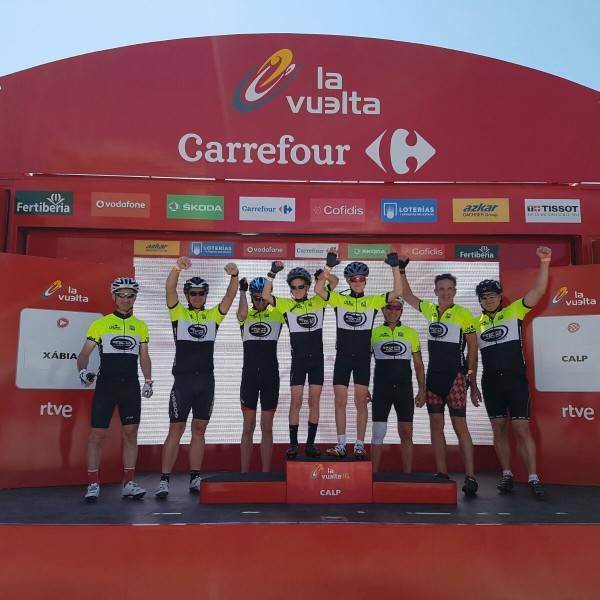 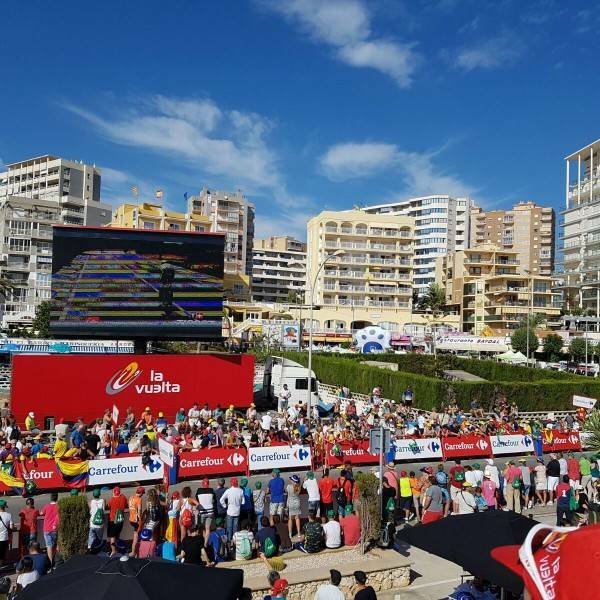 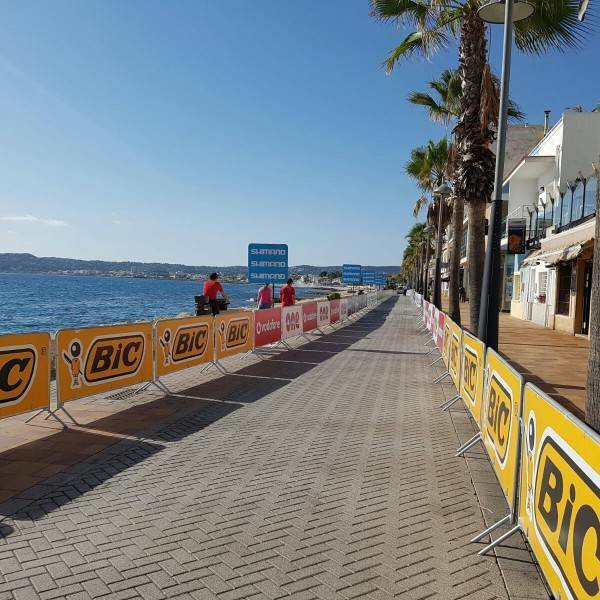 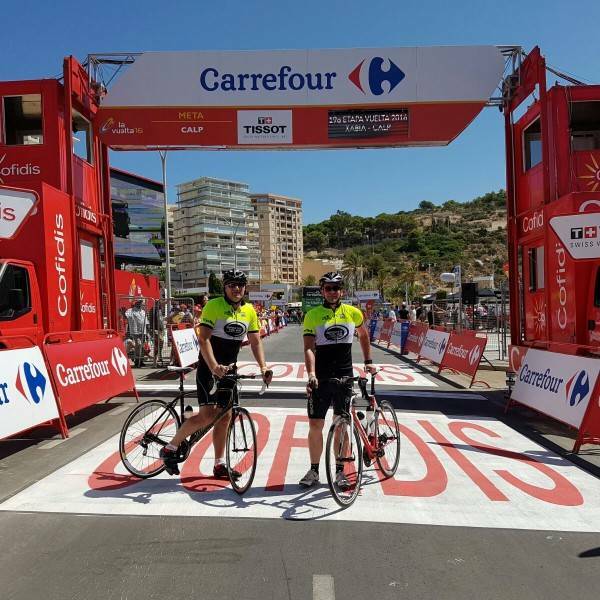 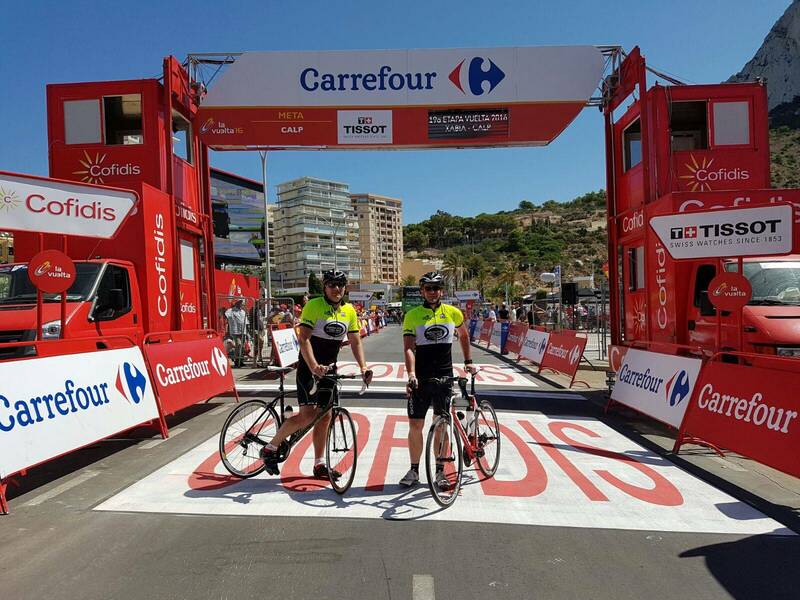 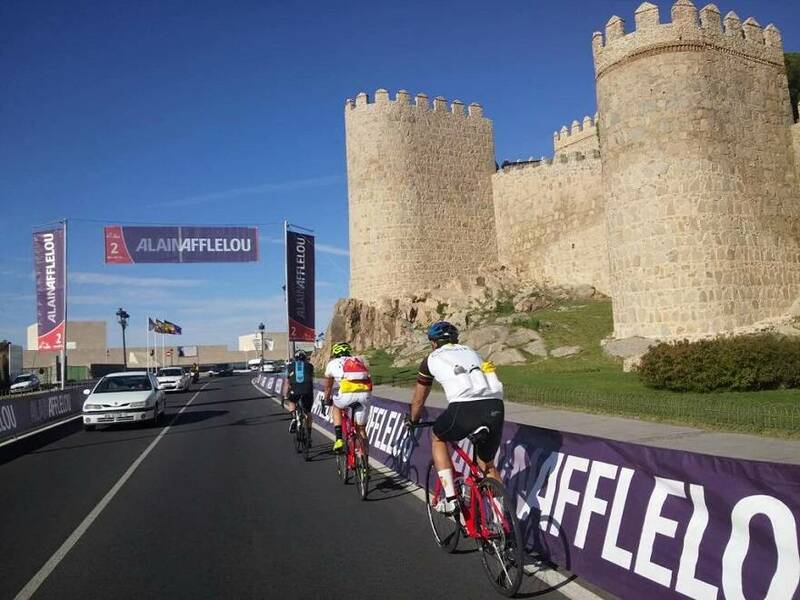 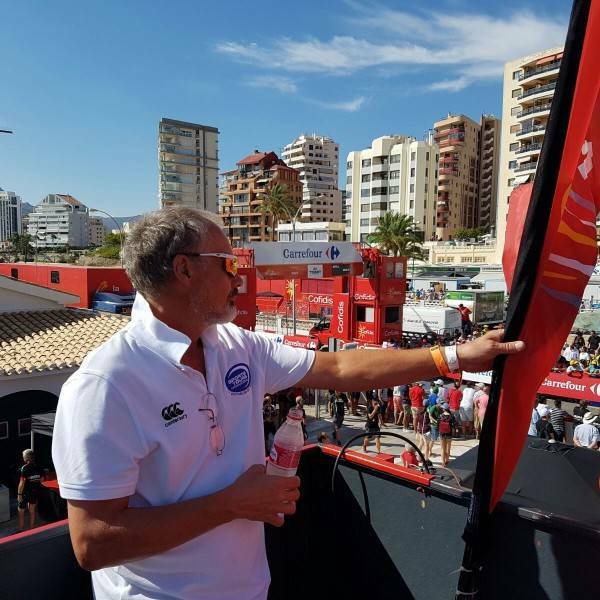 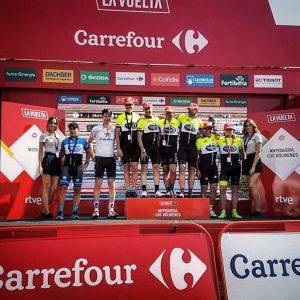 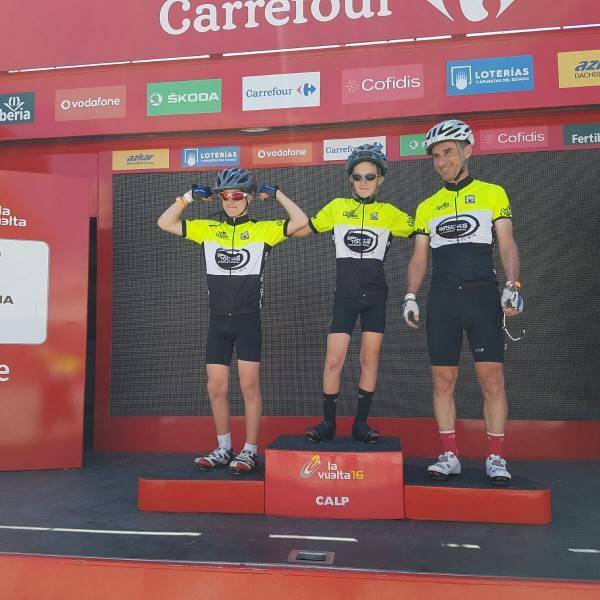 As an official VIP Tour Operator for the 2019 Vuelta a Espana, we are pleased to offer exclusive VIP hospitality access on every single stage. 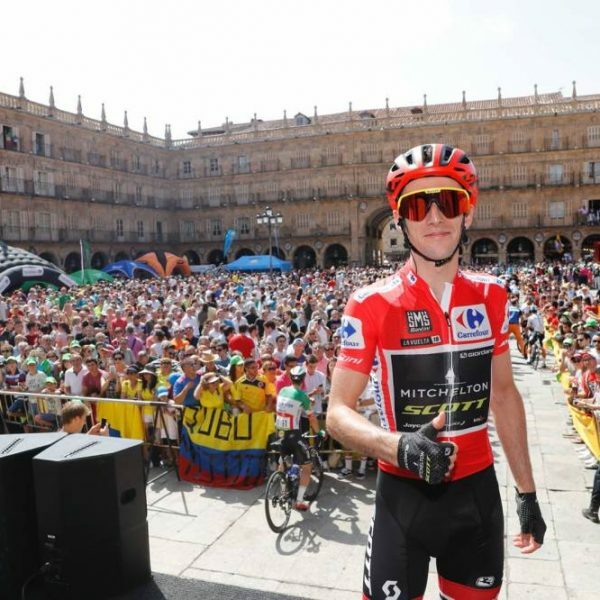 Simon Yates succeeded Chris Froome to win the 73rd Vuelta a España. 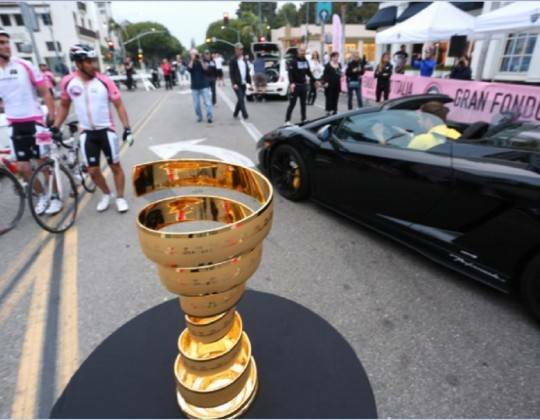 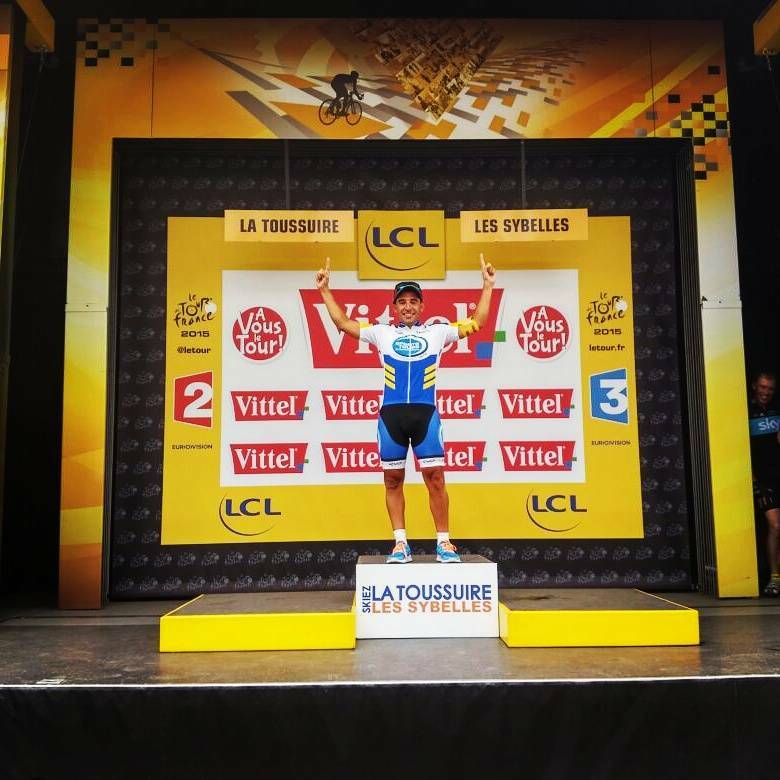 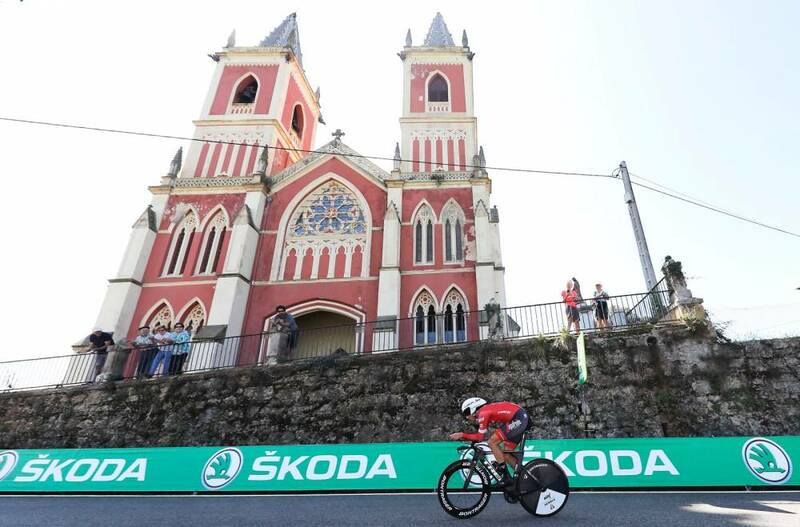 The British cyclist made up for disappointment at the Giro d’Italia earlier in the year to grab his first Grand Tour victory. 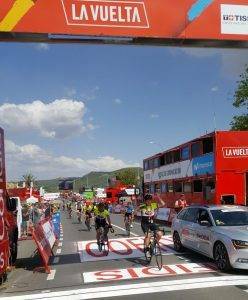 was in the lead from stage 3. 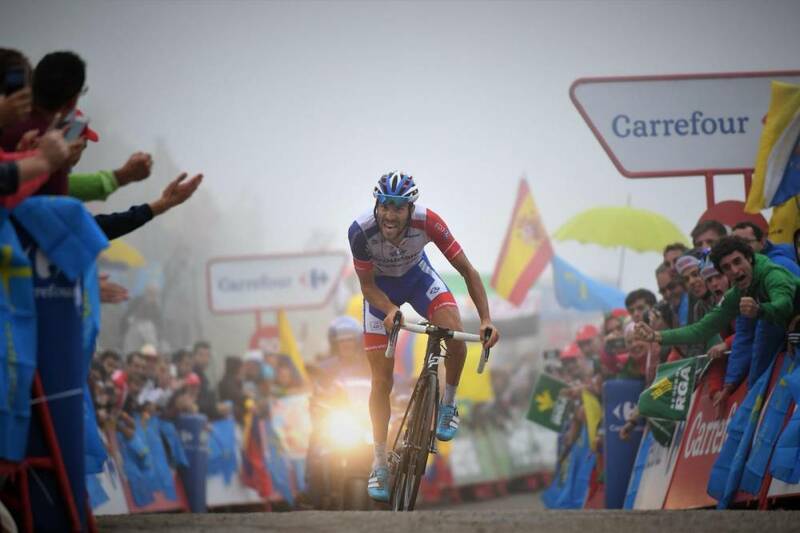 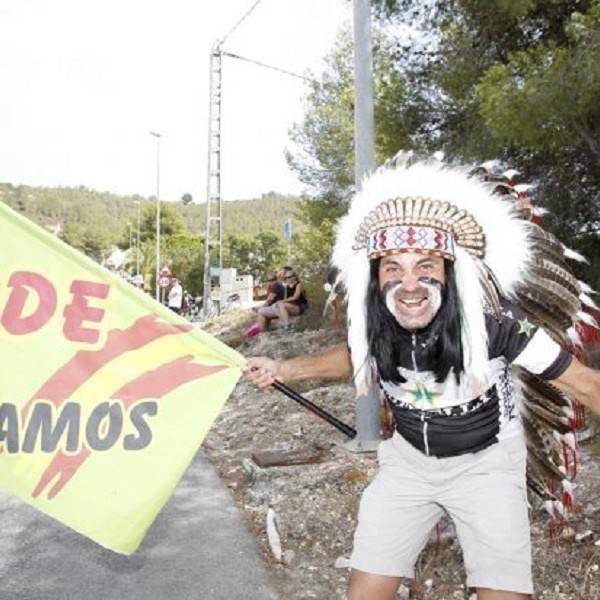 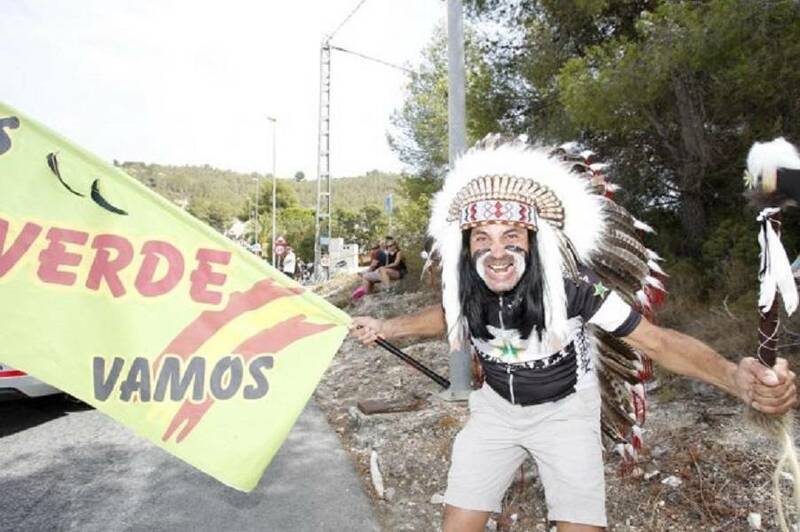 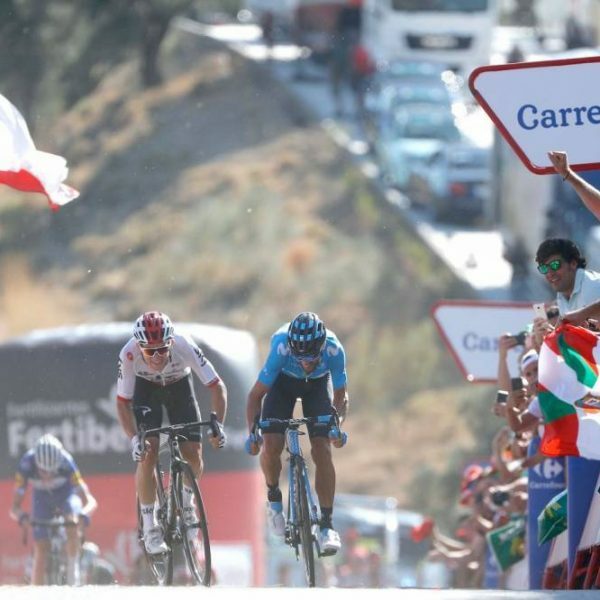 The Vuelta a Espana gives us exciting racing in August and September 2019. 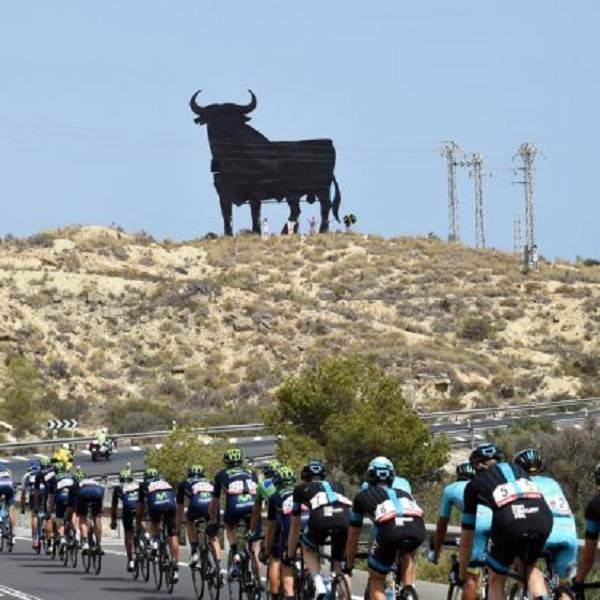 As in previous editions, the Tour of Spain is characterised by lots and lots of climbing, making it a fantastic spectacle for cycling fans. 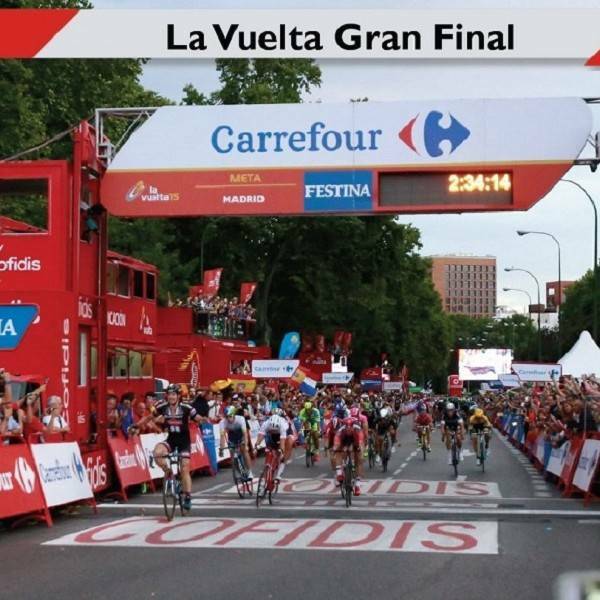 When you book your ticket, you will receive a booking confirmation. 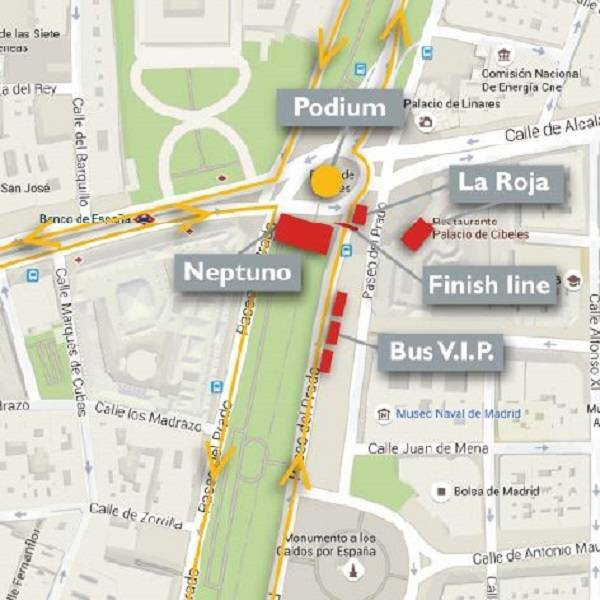 Closer to the event, you will receive a detailed itinerary with details of the exact location of the VIP finish area and how to obtain access. 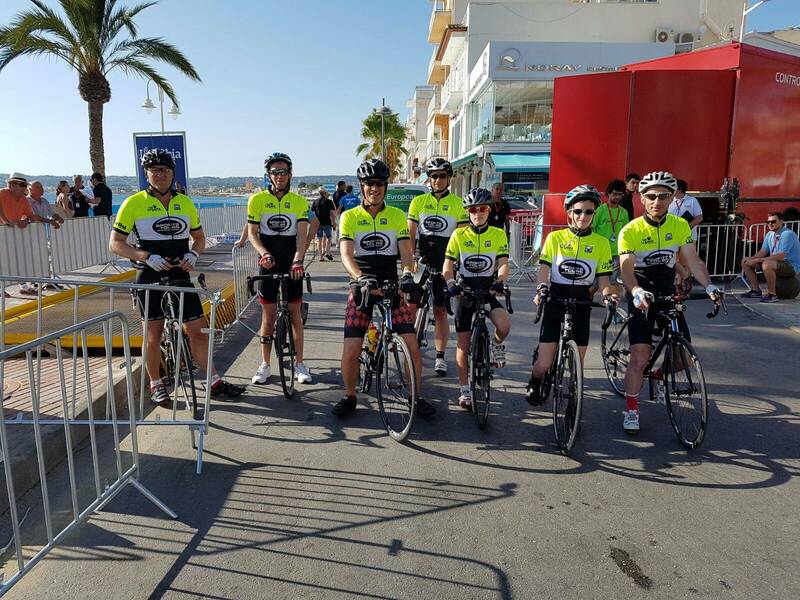 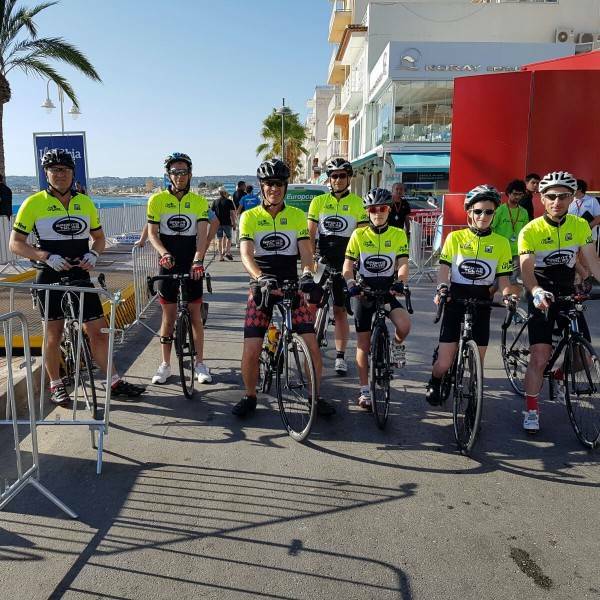 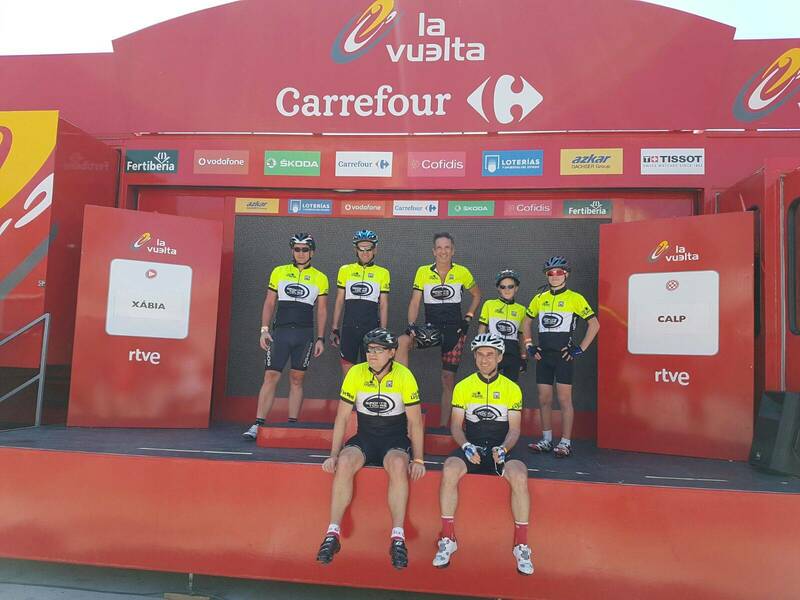 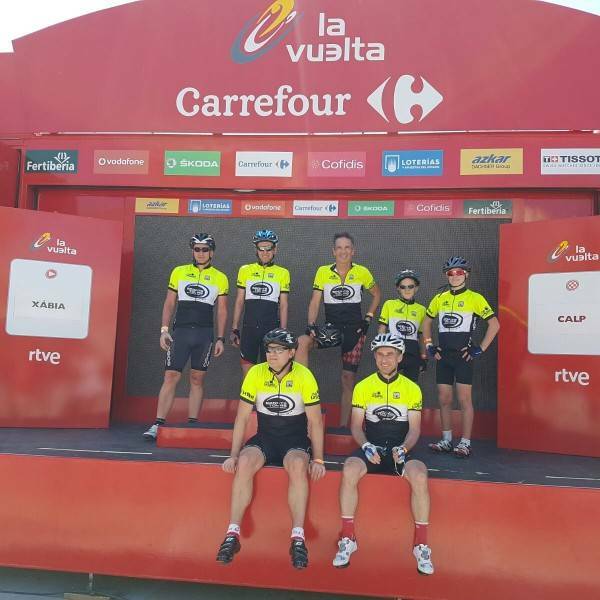 You will be met on arrival by our Vuelta a Espana representative who will assist you with gaining access or any other assistance you may require.. 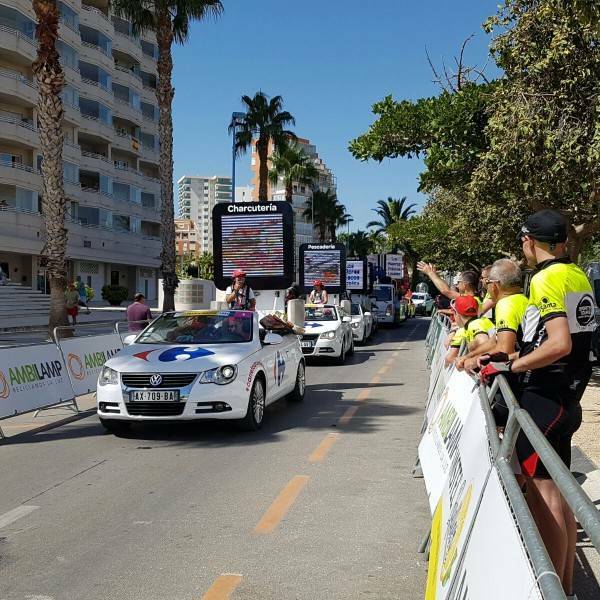 Spend a full day in the heart of the race in a car as you drive on the course ahead of the Caravan. 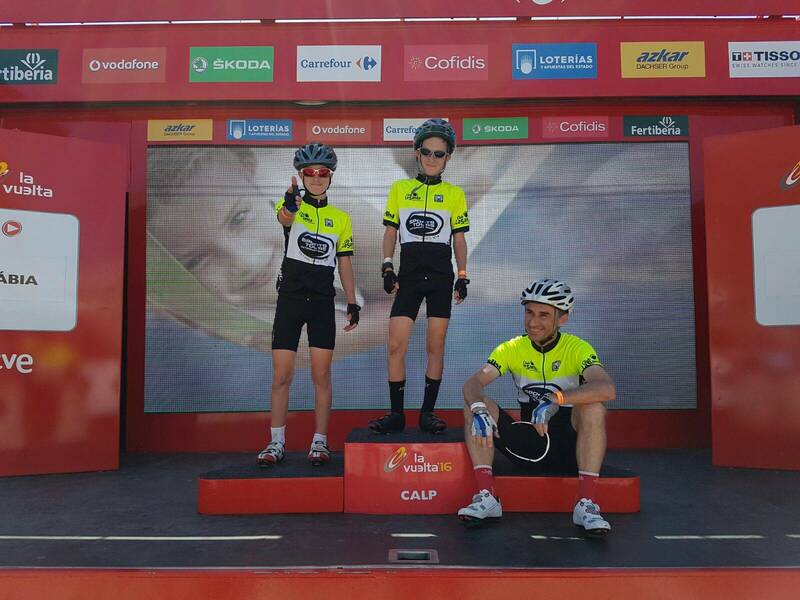 Your day starts when your guide who is a former professional rider meets you at the official start village. 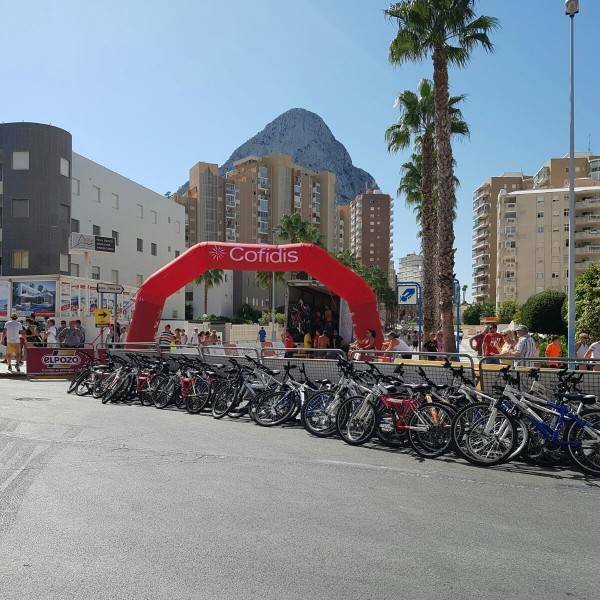 You will have a guided visit of the Vuelta Village in the morning and you will enjoy a visit of the team preparation area. 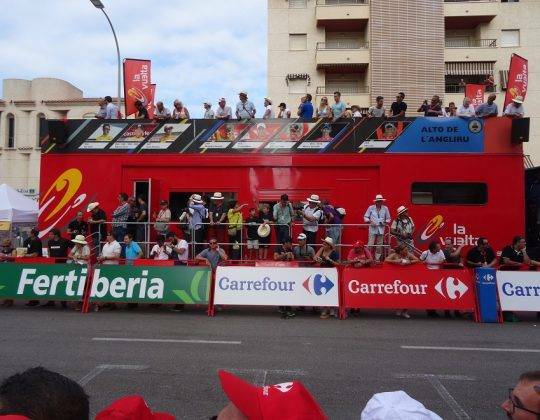 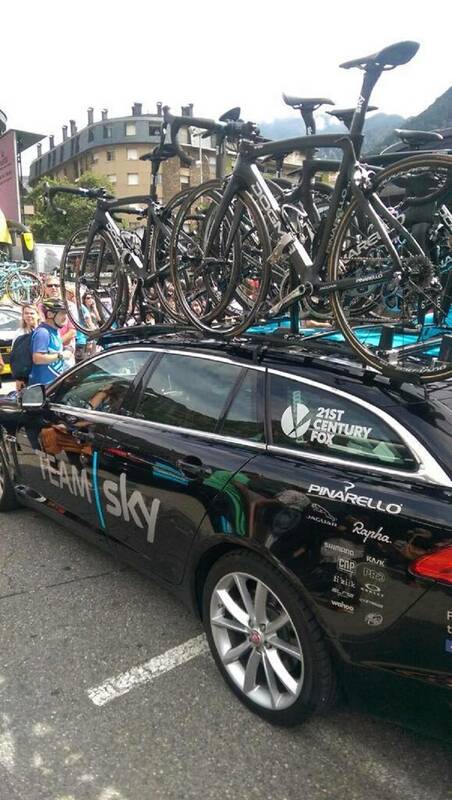 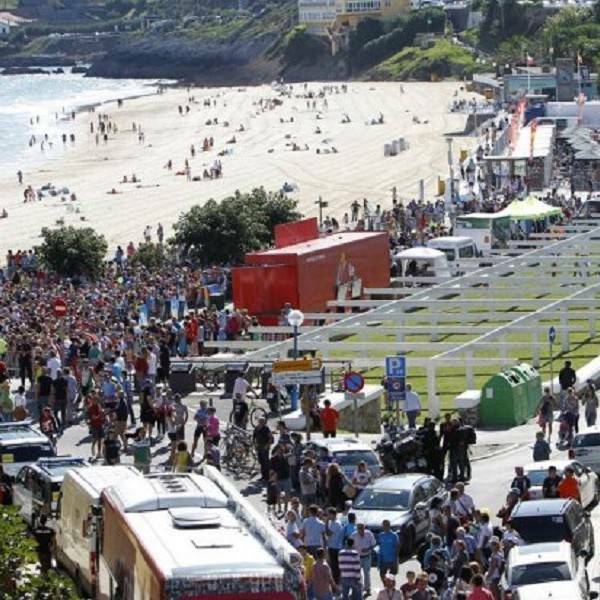 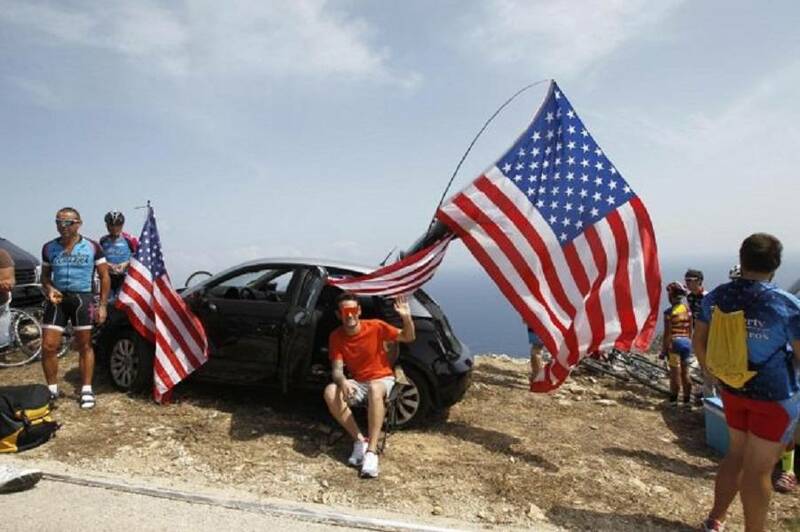 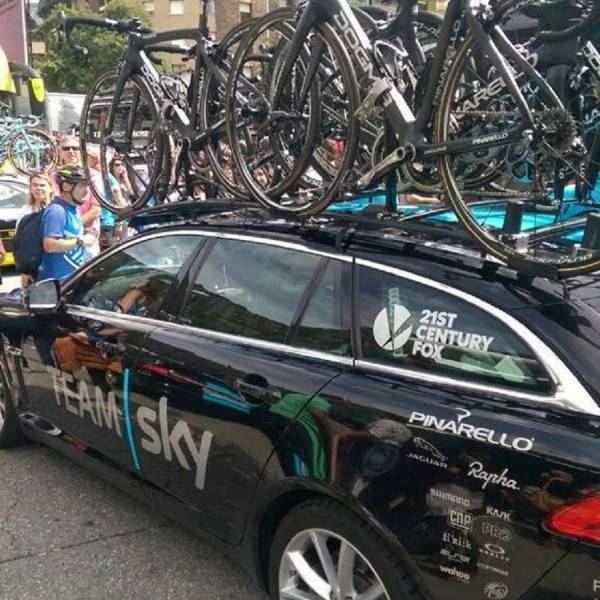 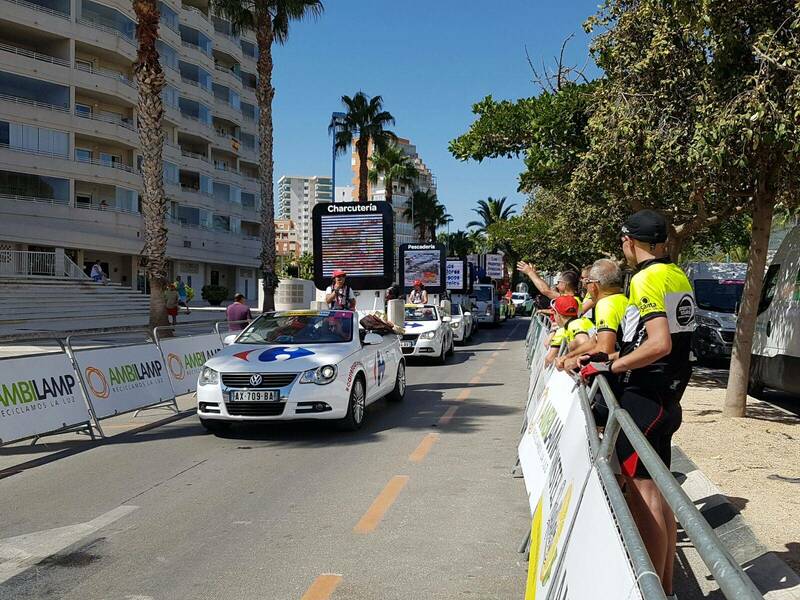 After the visit to the start village, get in the official car and drive on the course ahead of the Vuelta caravan. 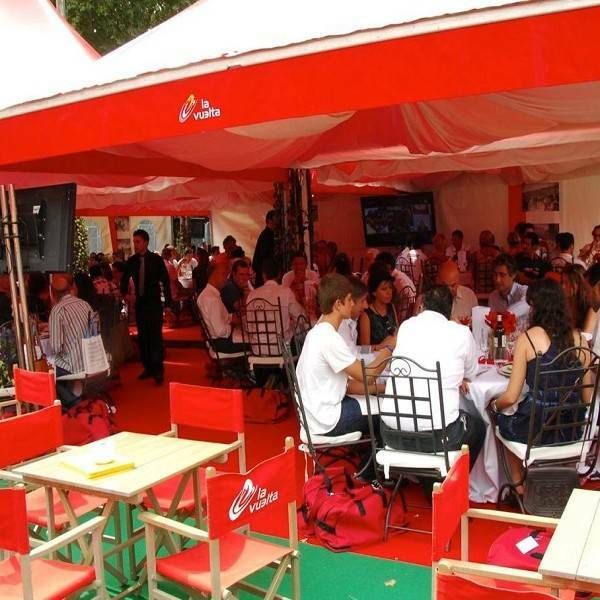 You will have lunch en-route and drive through all the crowds for a unique insider experience. 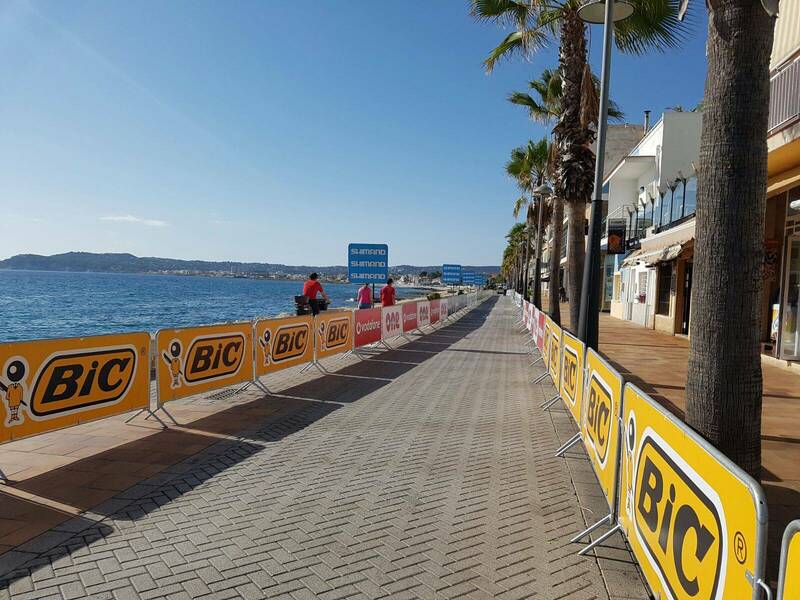 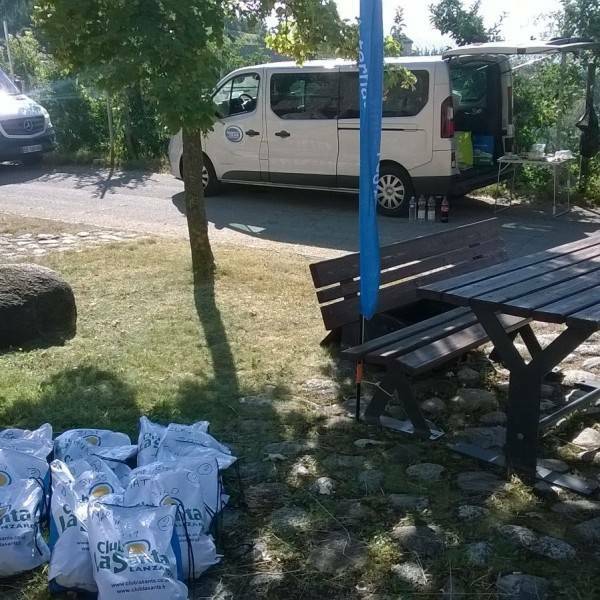 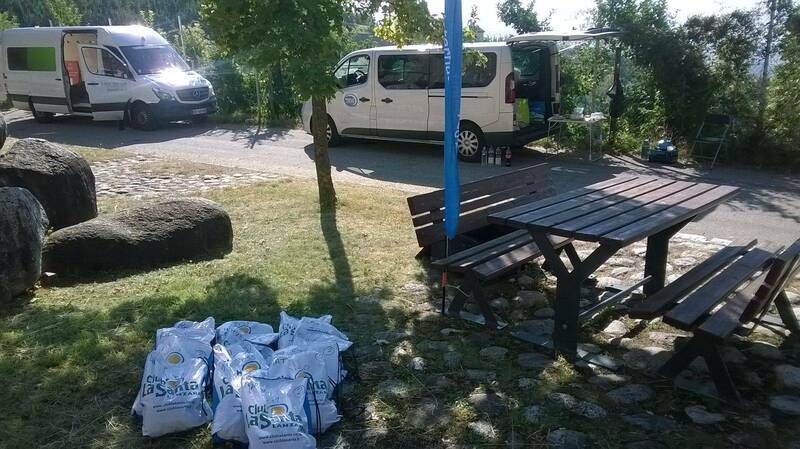 When you arrive at the finish you will enjoy VIP hospitality to round of the day. 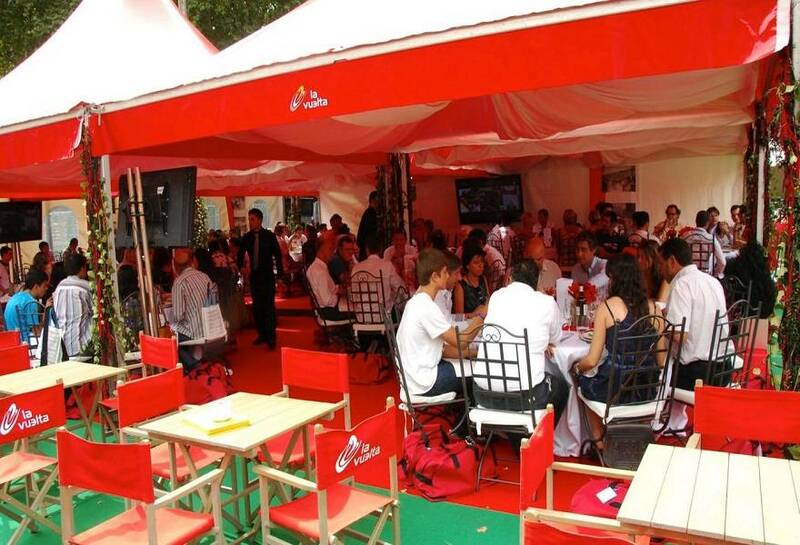 Experience the finish of the stage in style at the official finish line hospitality venue. 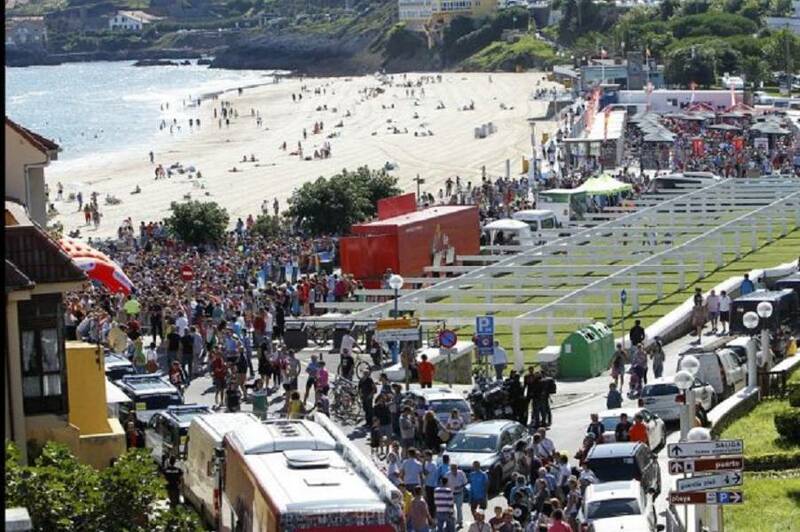 Accreditation to have access into the area is included with a parking sticker. 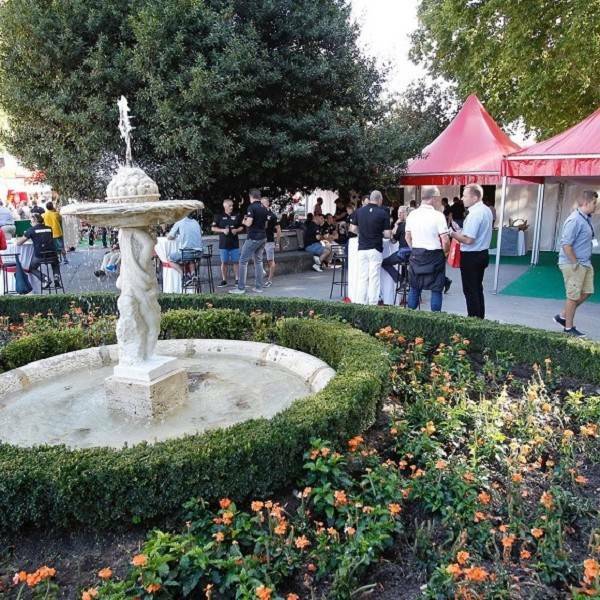 To read more about what the day includes, please have a look on the itinerary tab. 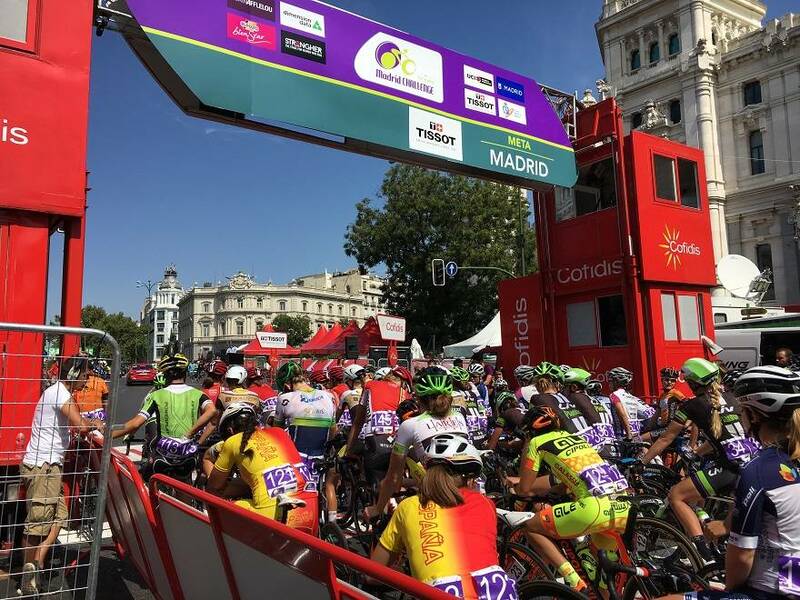 Three weeks of intense, emotional racing come to an end in Madrid. This final, spectacular stage, takes place on an urban circuit that allows you to discover the many wonders and the festive atmosphere that the Spanish capital has to offer. 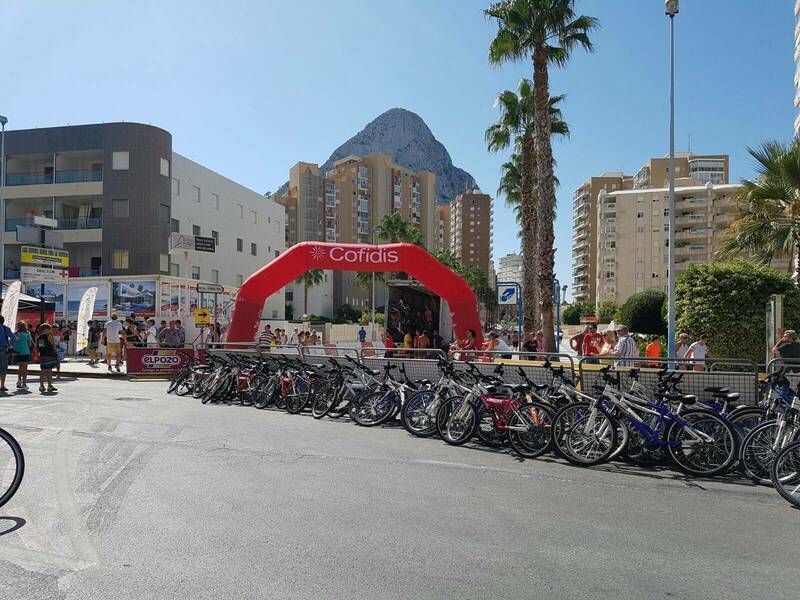 Come and celebrate the final kilometres of this mythical race with the cyclists in ideally placed areas. This year, the riders will cross the finish-line for the first time at around 7 pm and again for the last time at around 8:30 pm. 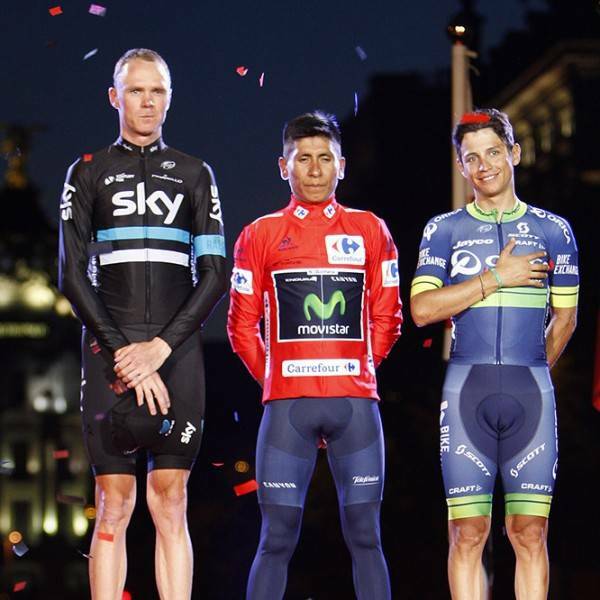 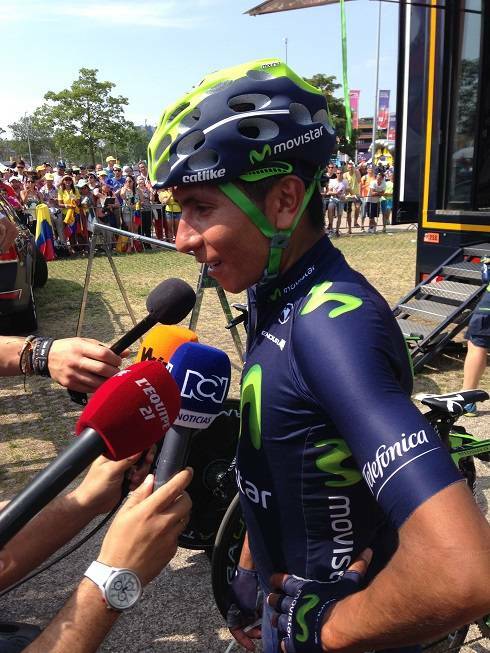 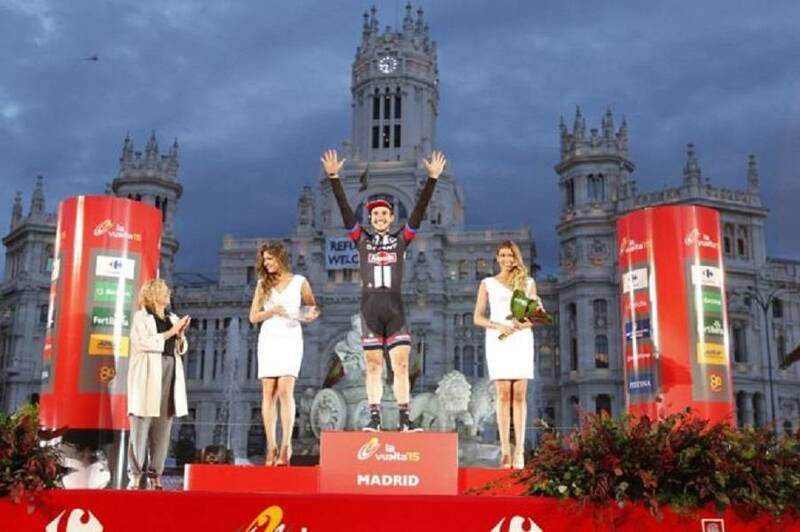 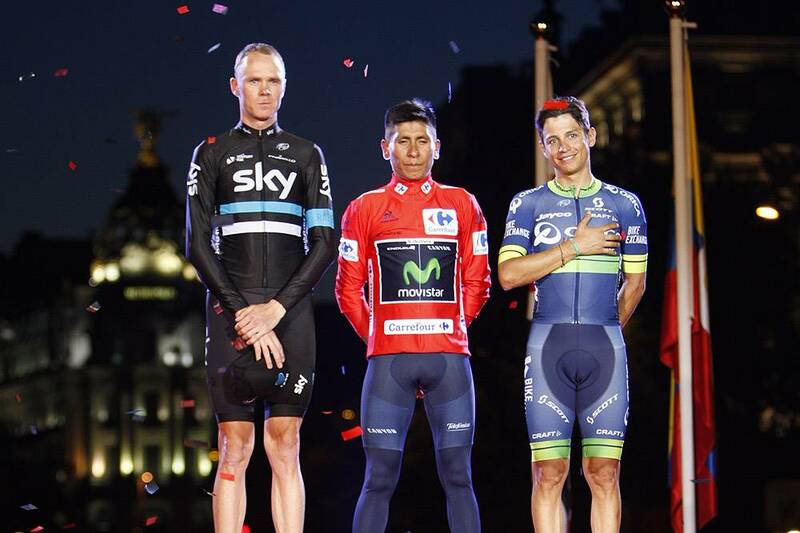 The Vuelta finishes in Madrid after an exhilarating 3 weeks of hard racing. 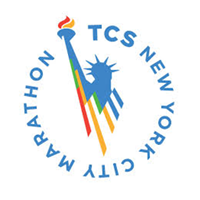 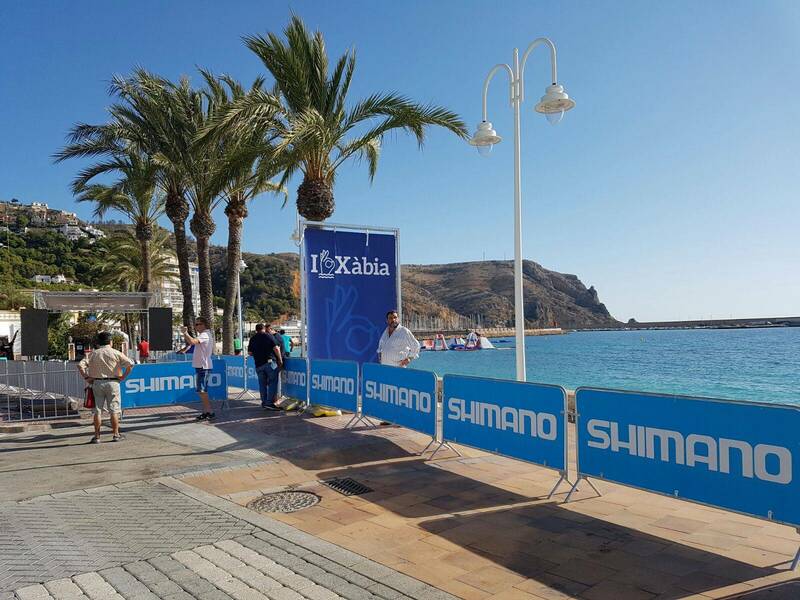 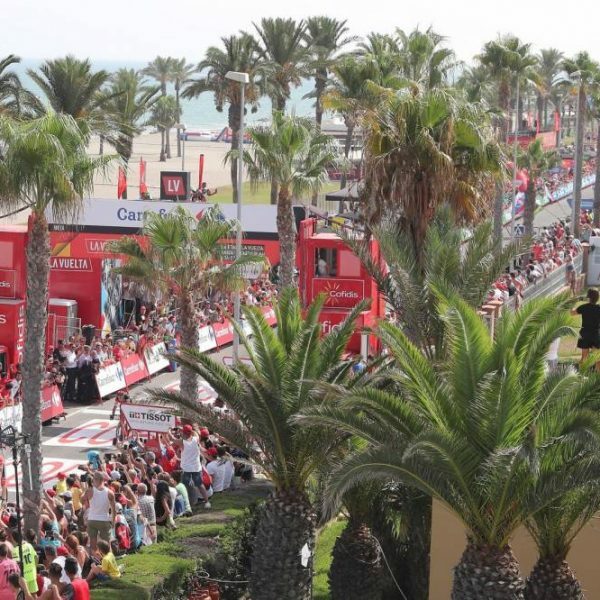 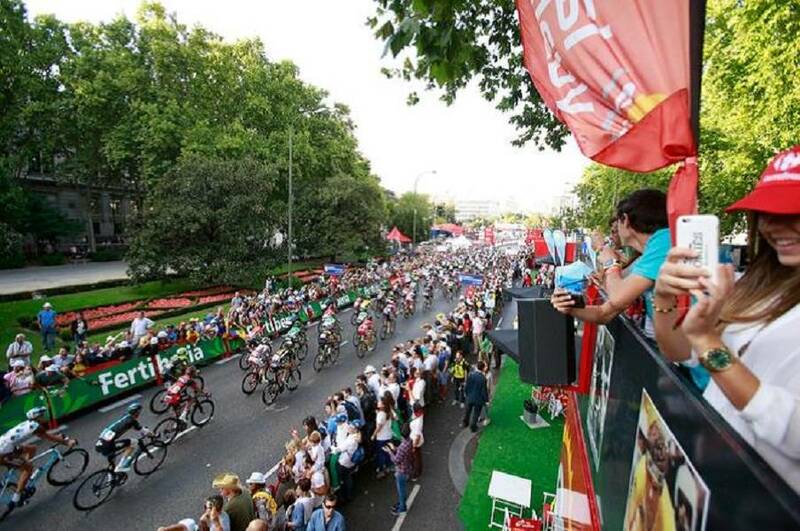 Be there at the finish in a relaxing area about 100 metres from the finish line on the famous Paseo del Prado. 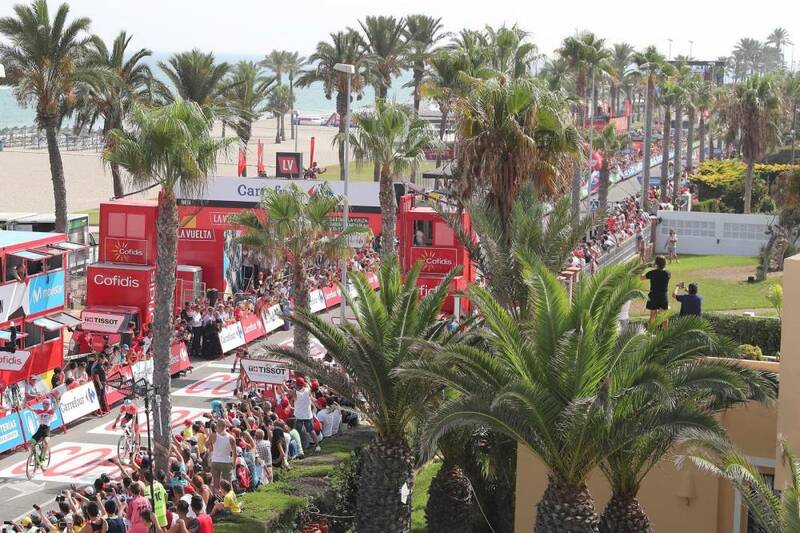 Great view of the race finale. 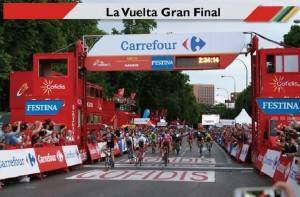 The 74th edition of the Vuelta a España starts on Saturday 24 August with a flat Team Time Trial. 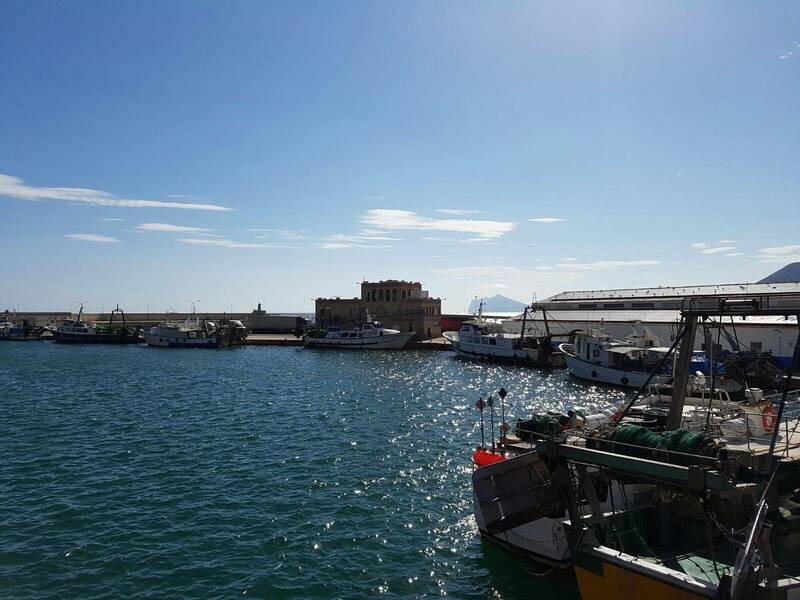 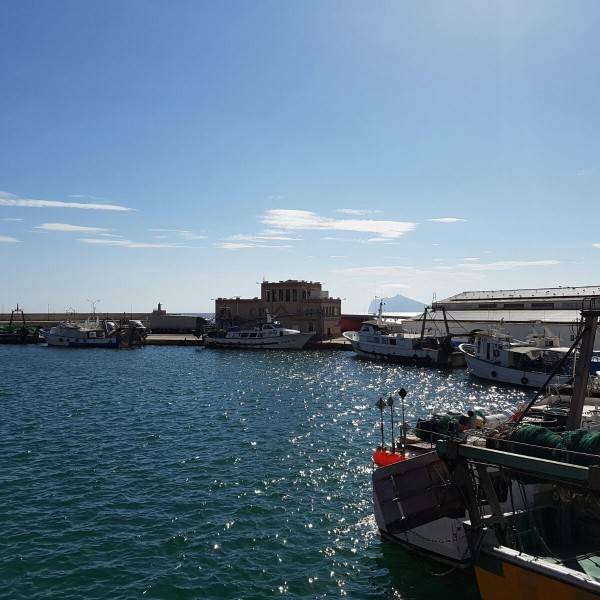 The ‘Gran Salida’ of the 2019 Vuelta takes place in Las Salinas de Torrevieja which is a Nature reserve in the south of the province of Alicante famous for its pink water lagoons. 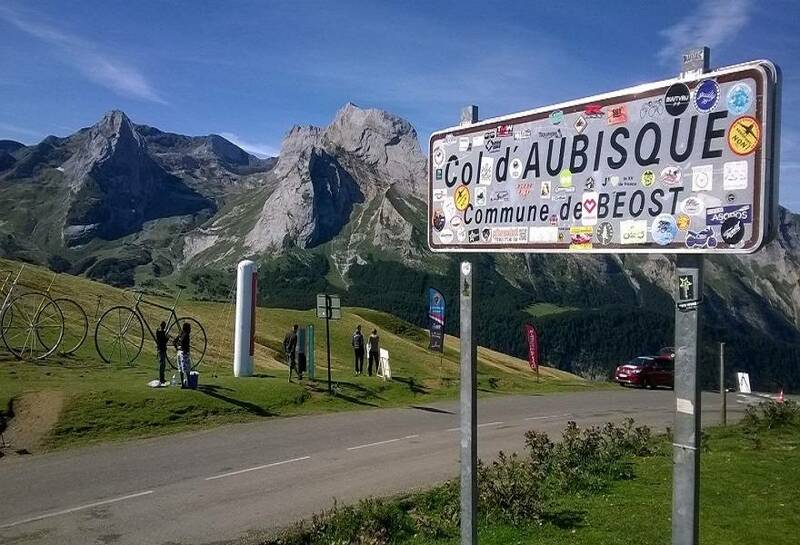 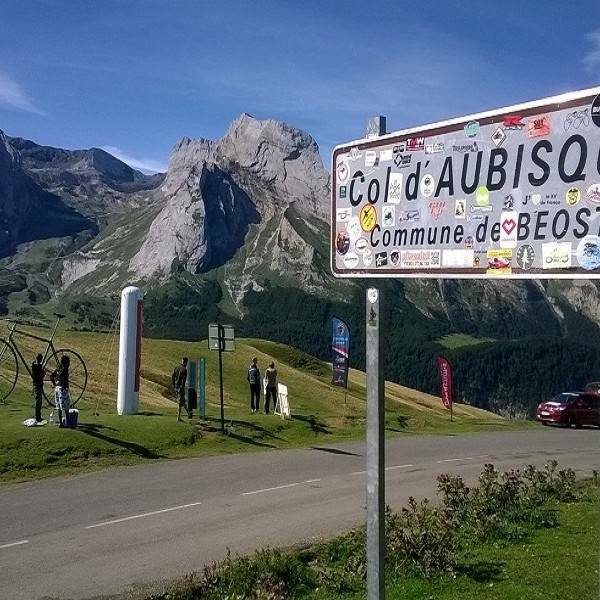 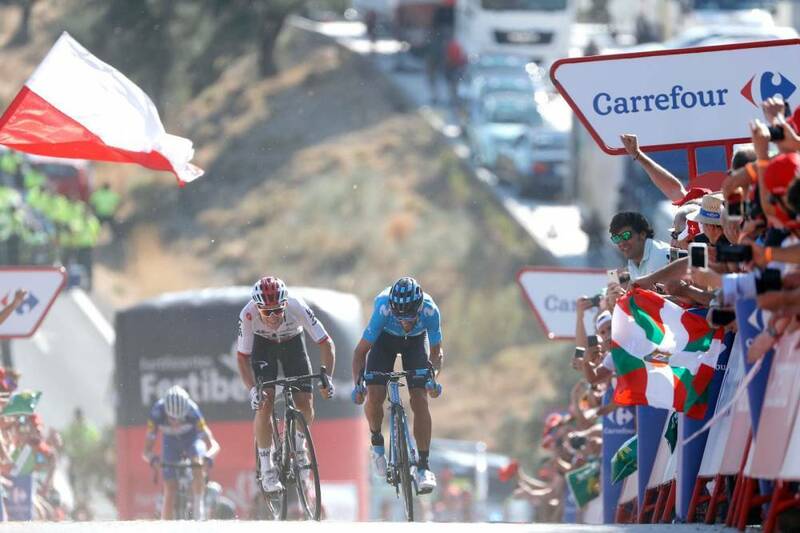 The final Grand Tour of the year 2019 will have 8 summit finishes including the brand new Javalambre and Los Machucos with its steep ramps. 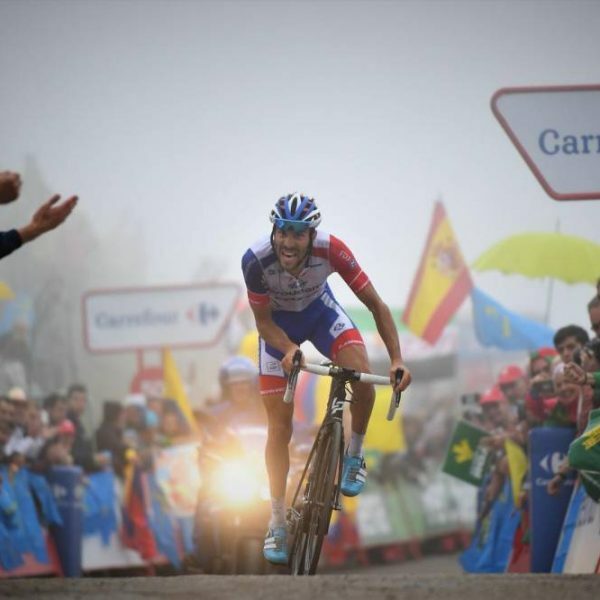 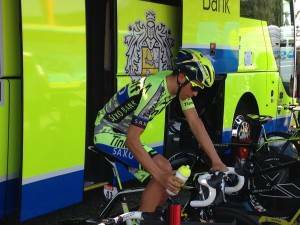 Andorra features again with a brutal climb stage. 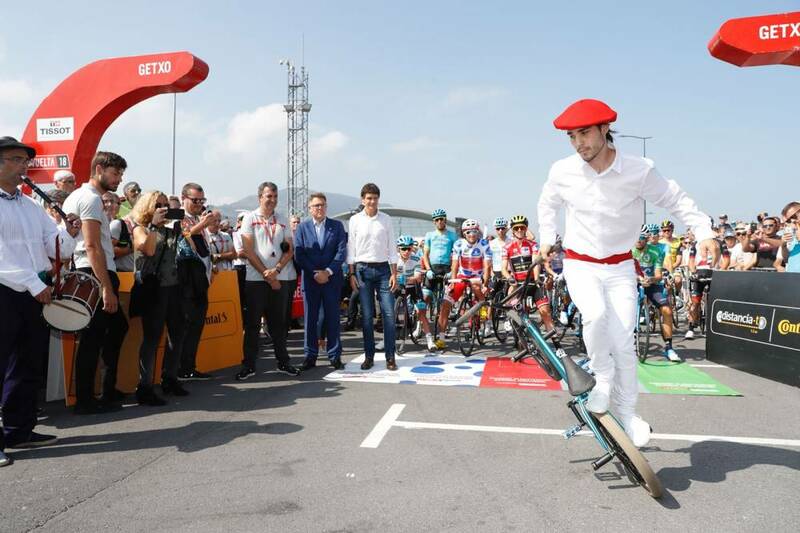 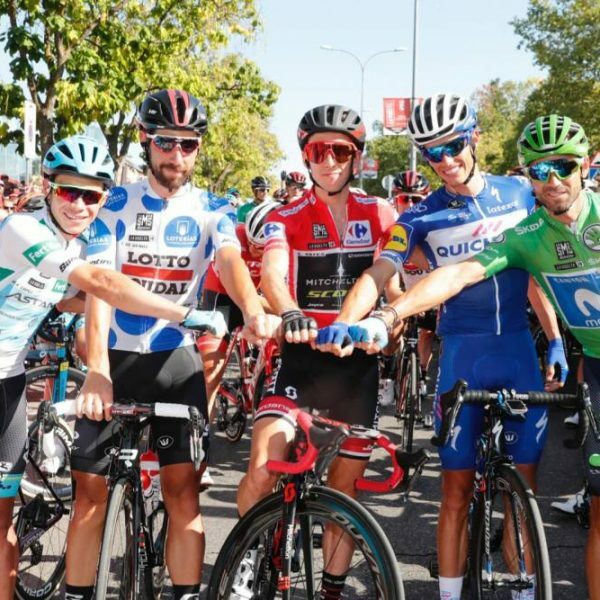 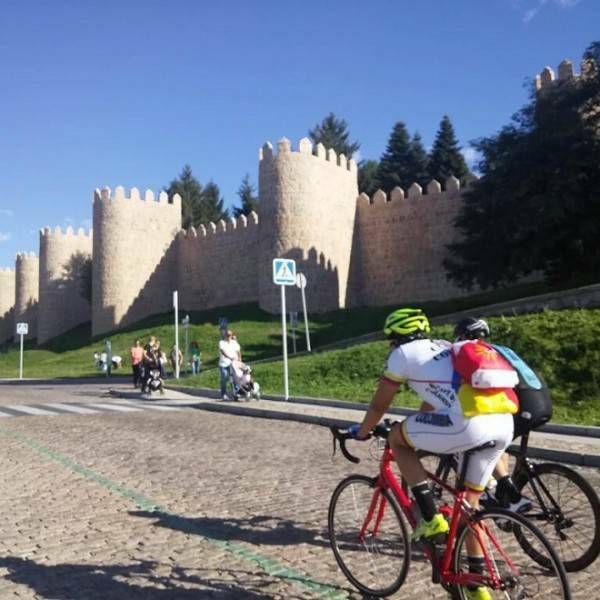 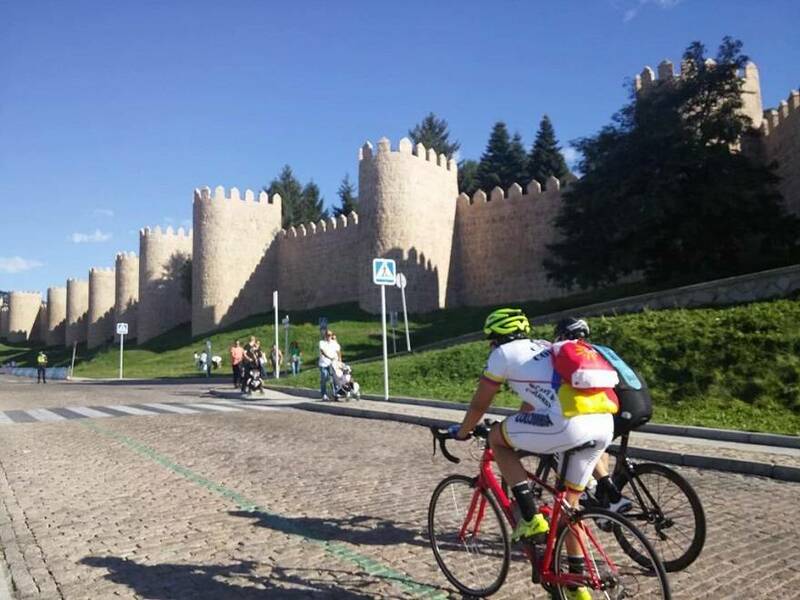 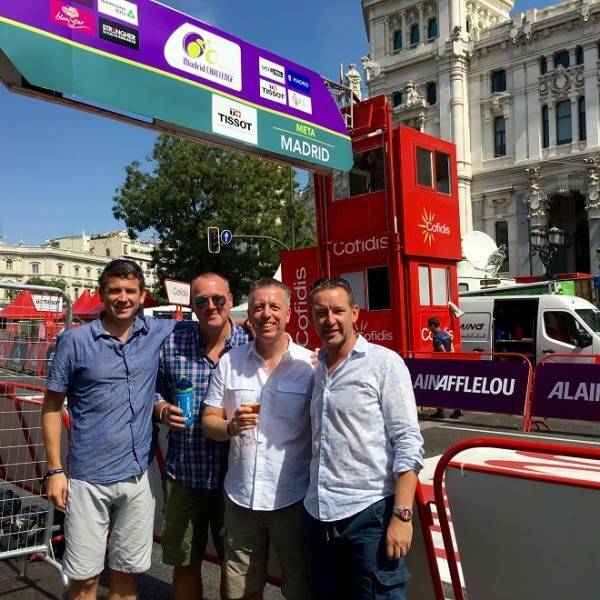 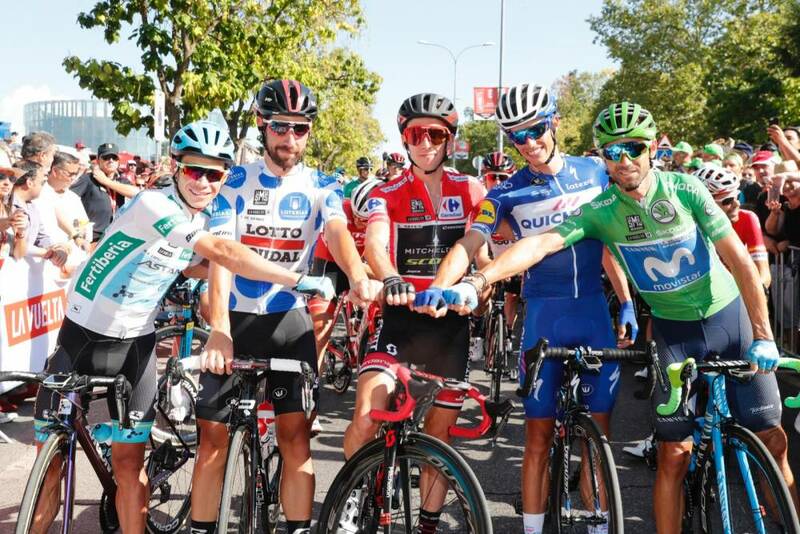 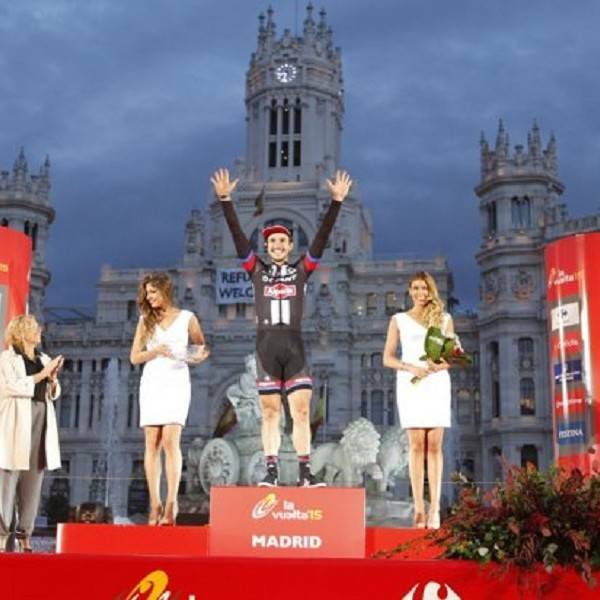 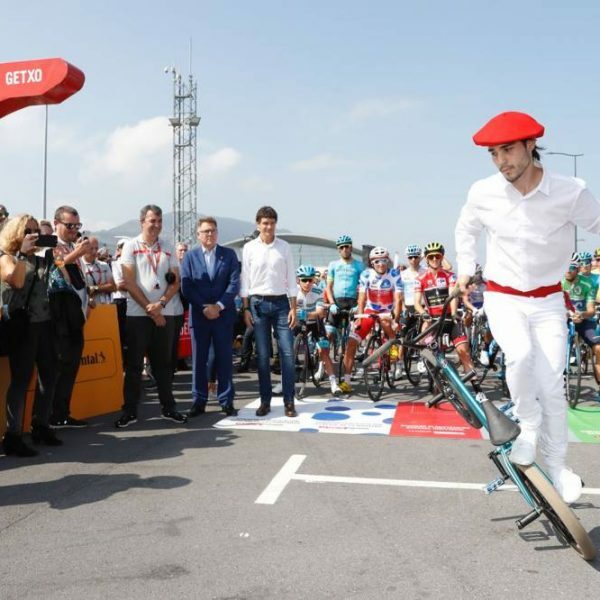 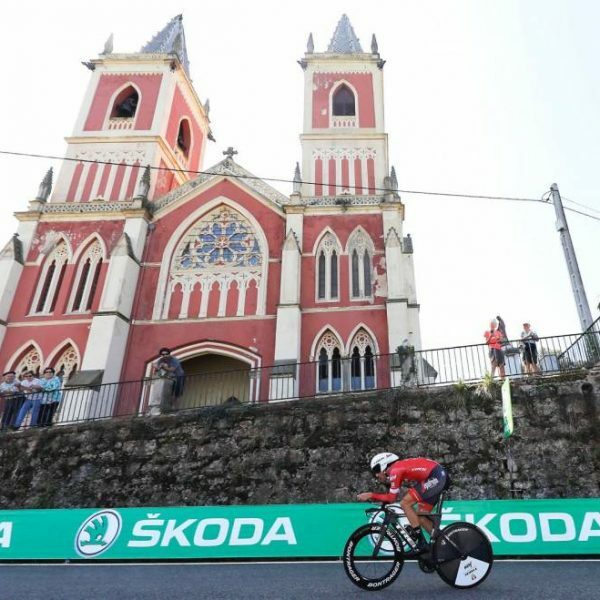 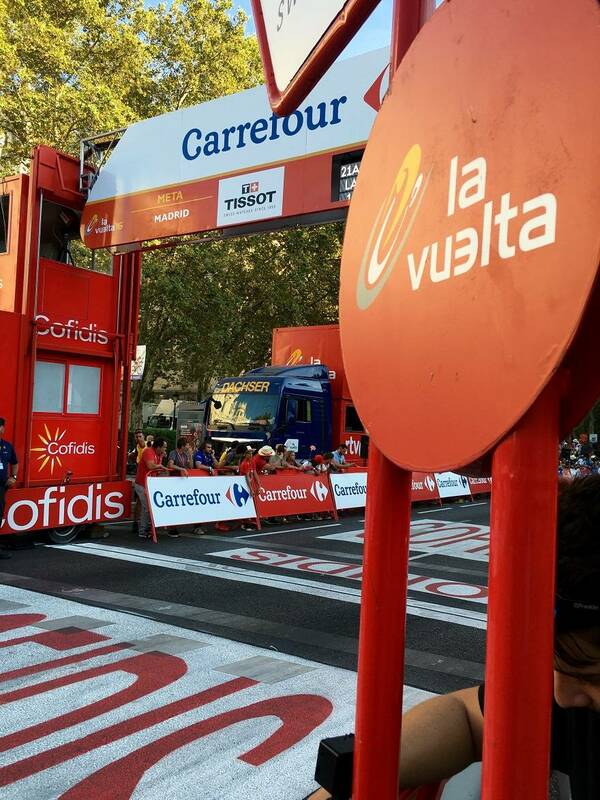 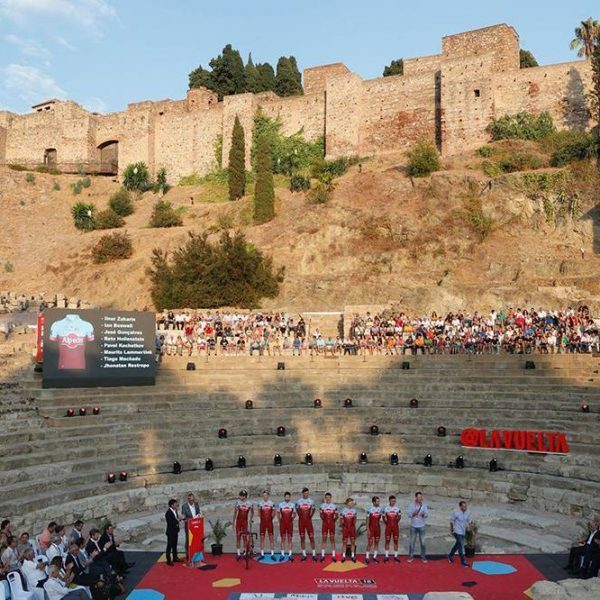 After visiting Castellon, Valencia, Barcelona, Andorra, France, Bilbao, Asturias and the Madrid area, the 2019 Vuelta finishes on Sunday 15 September in Madrid. 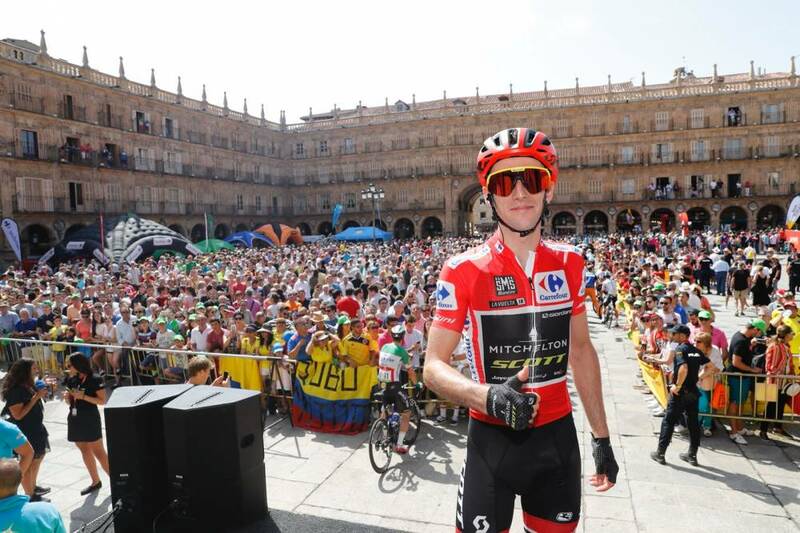 Simon Yates is title holder and the 2018 podium was completed by by Enric Mas and Miguel Ángel López. 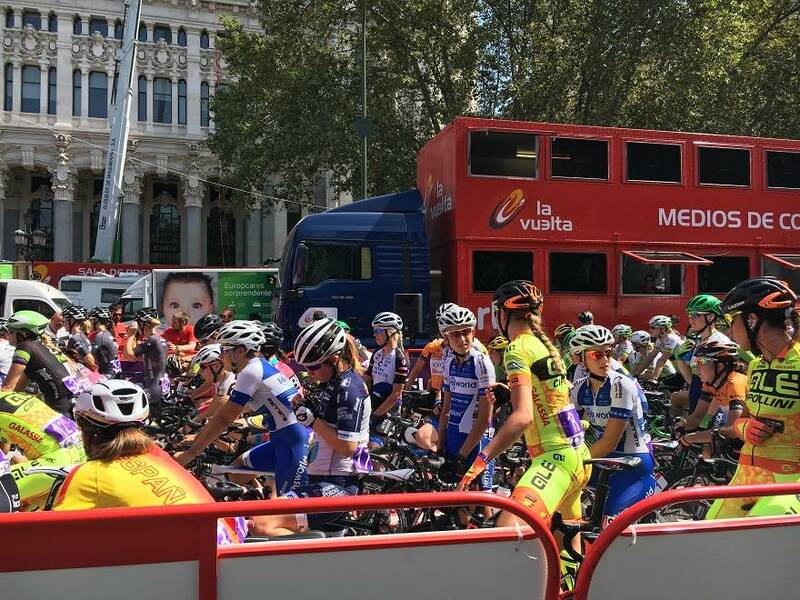 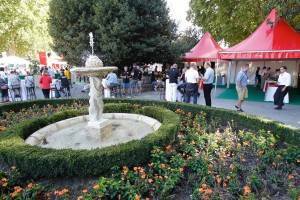 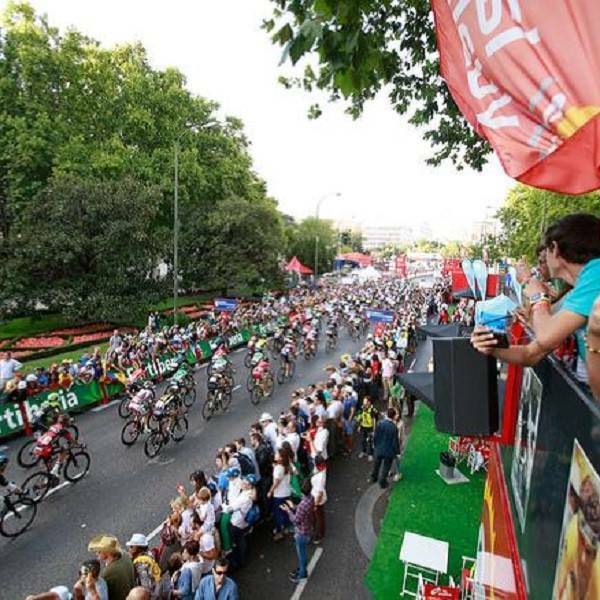 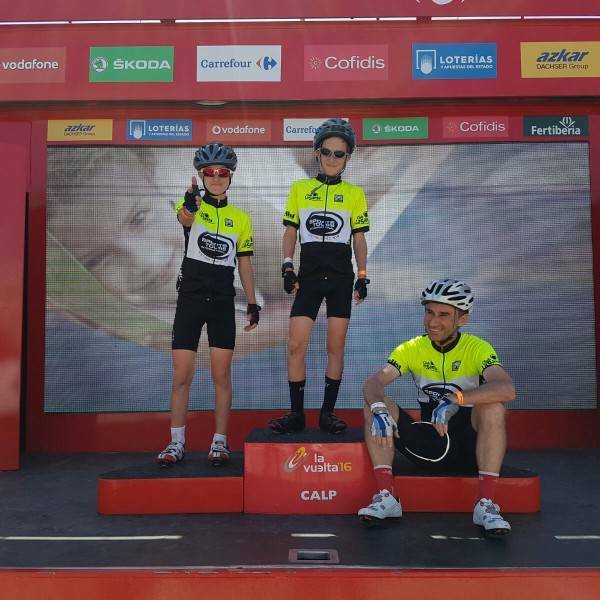 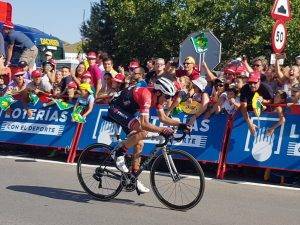 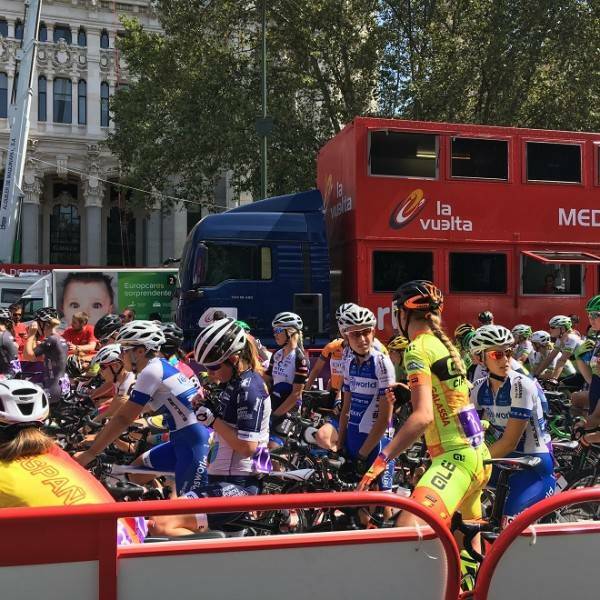 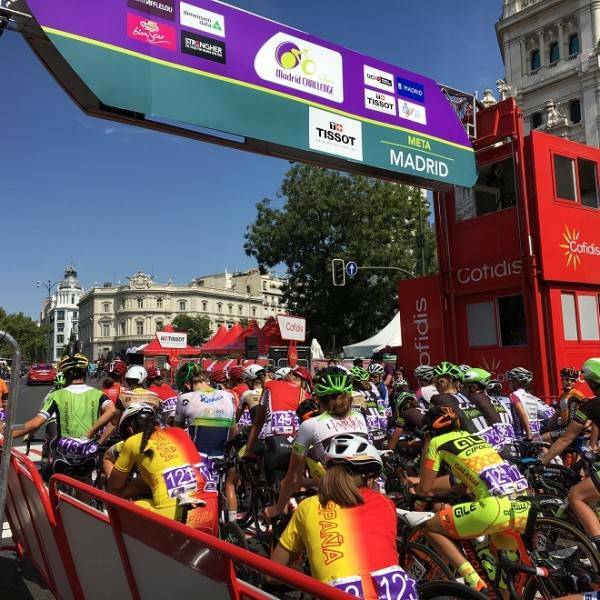 "Vuelta a Espana 2016 - Madrid Hospitality"
At the finish, you will go to the exclusive VIP hospitality area located very close to the final stretch of the course with a view of the finish. 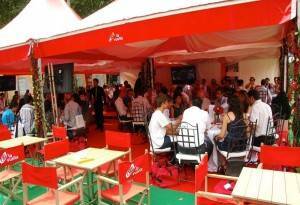 Everyone will be served with drinks and snacks and there are are TVs to watch the LIVE action as it unfolds. 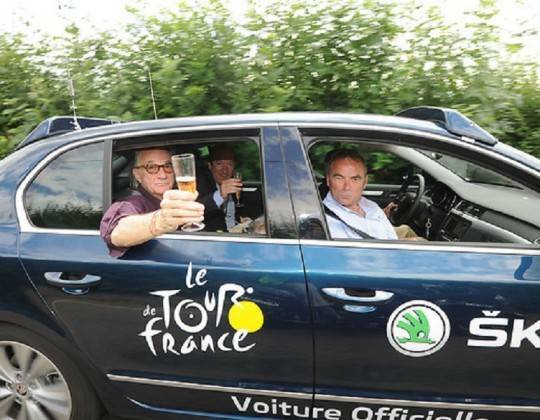 After watching the finish, you will celebrate the victory with Champagne as riders arrive! 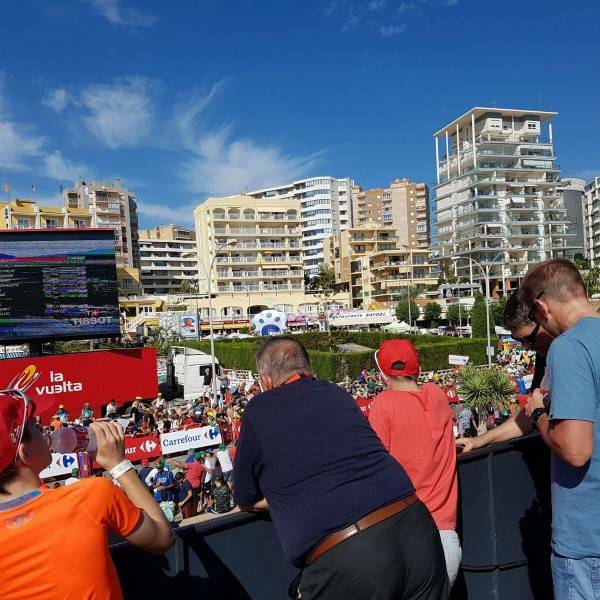 One of the best experiences for obtaining an insight behind the scenes of one of the biggest cycling shows. 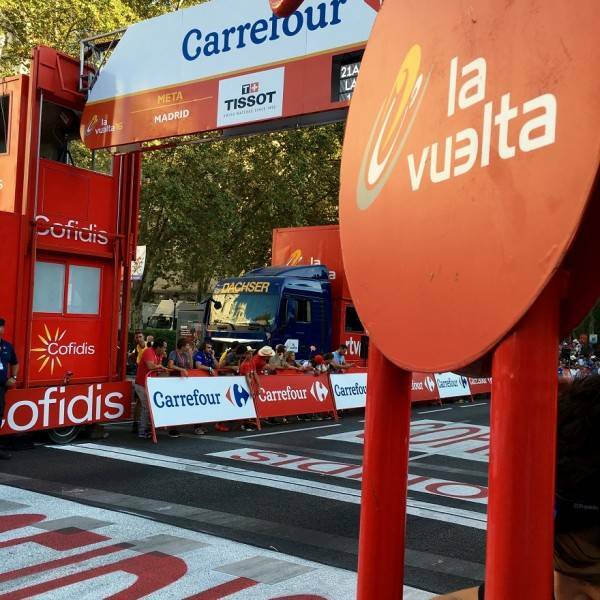 Wear your VIP access badge and mill around the official Vuelta a España start village with celebrities, journalists and of course the riders and their entourage. 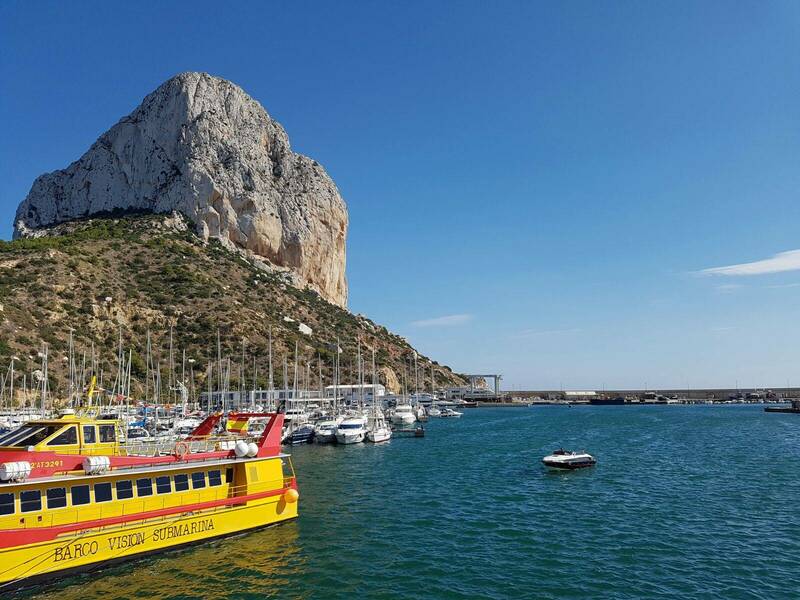 Visas are not required to enter Spain and France. 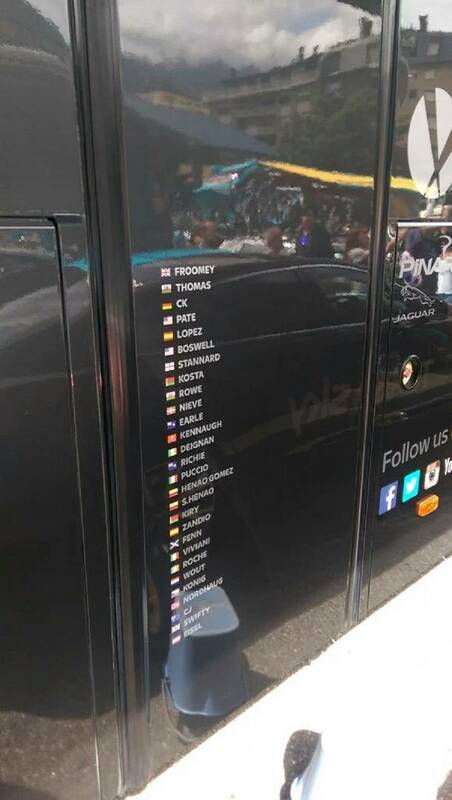 You need a passport to enter. 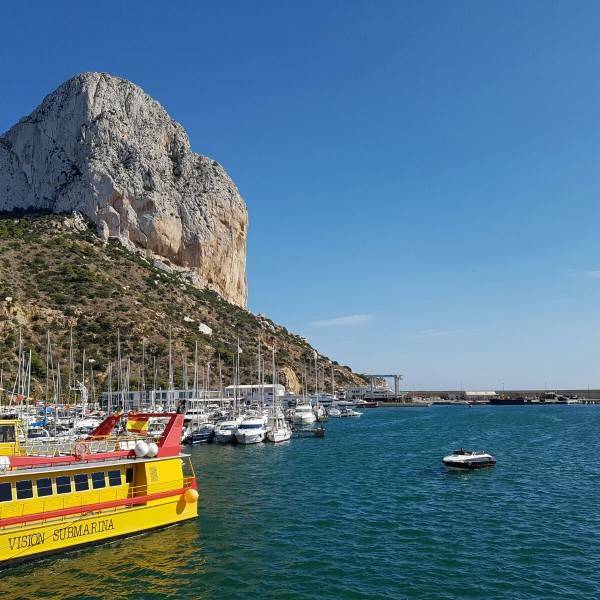 General Travel Information is also available here & here.. All non-UK passport holders must check their own country’s entry requirements for Spain and France.